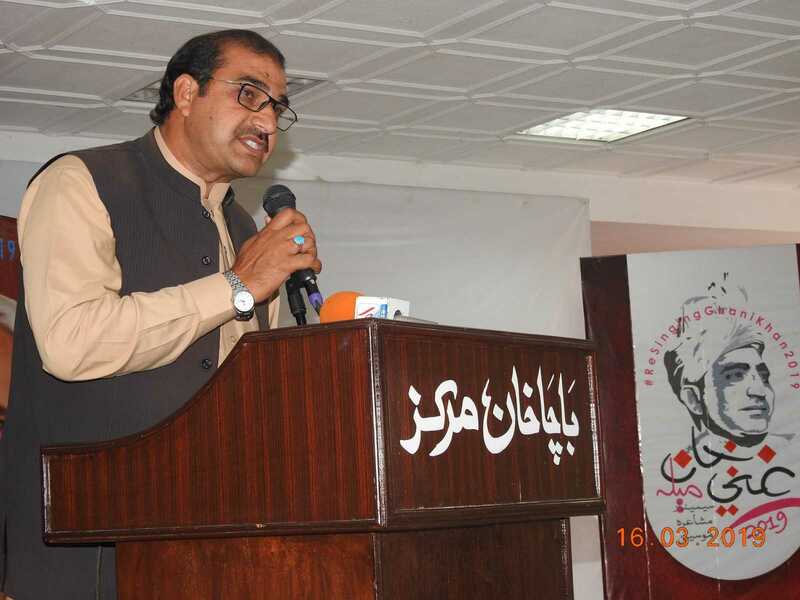 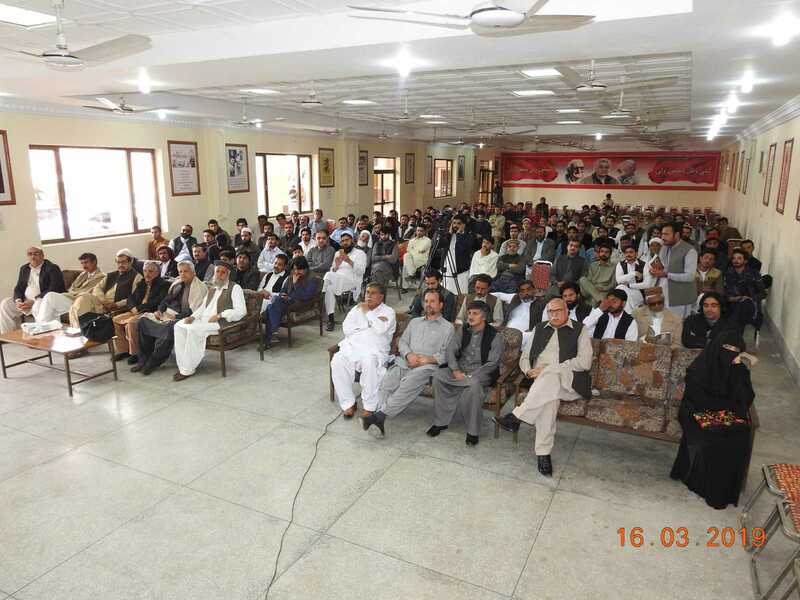 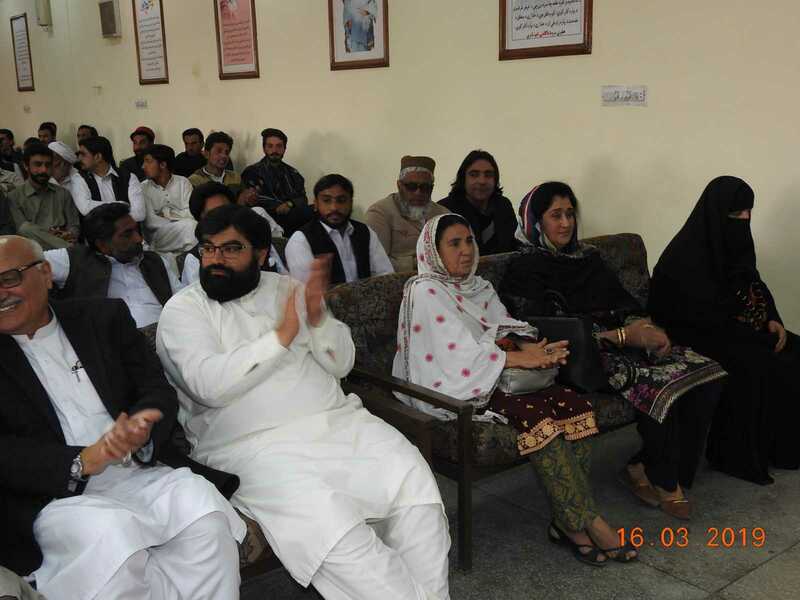 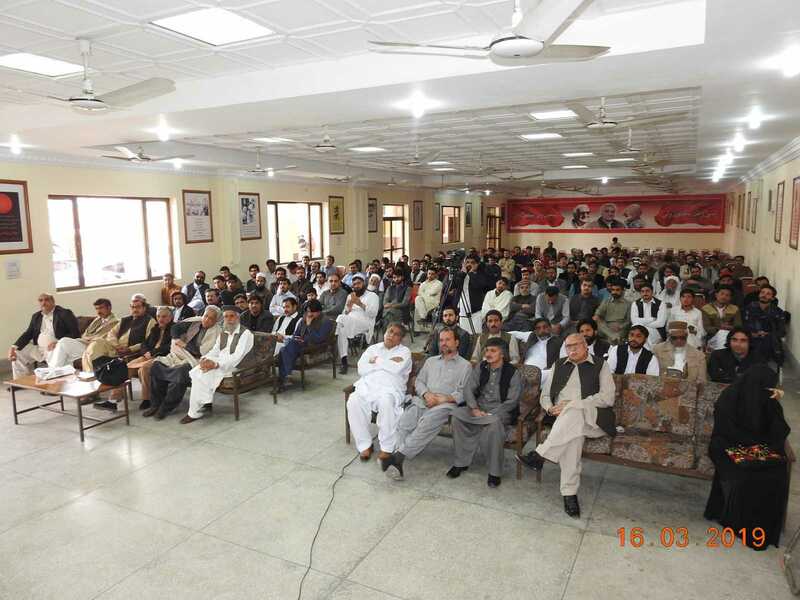 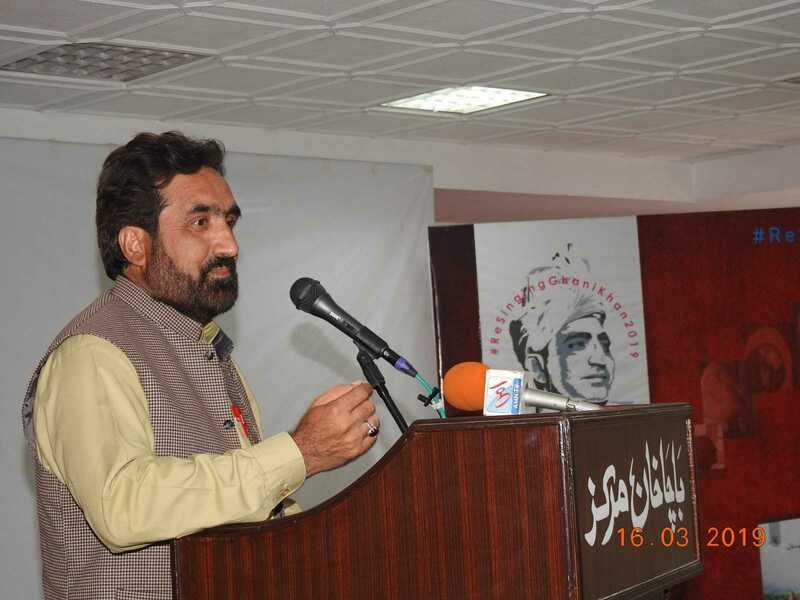 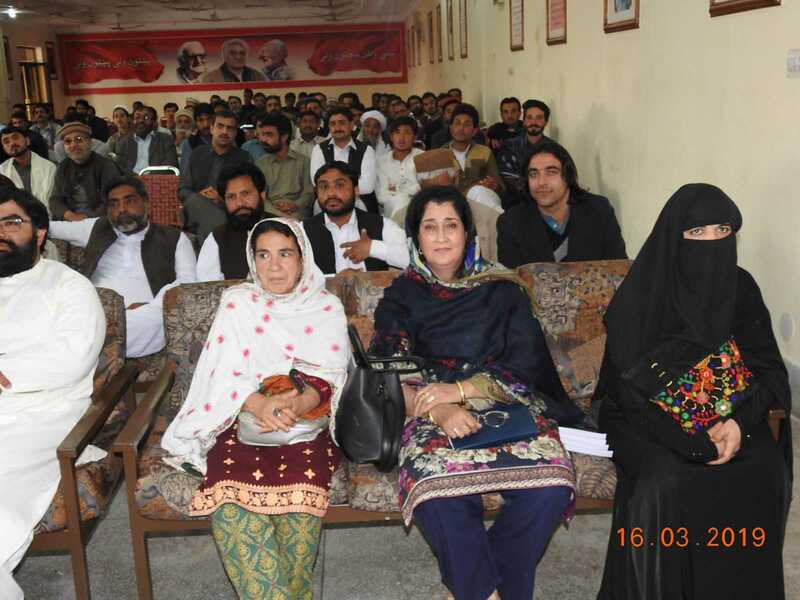 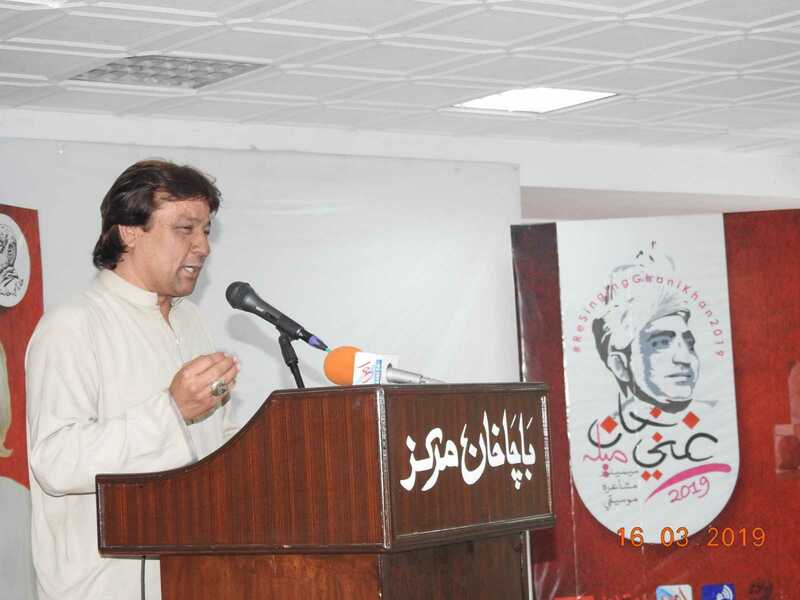 On 16th of March 2019, A mushaira held at Baacha Khan Markaz on the occasion of 23rd death anniversary of legendary Ghani Khan. 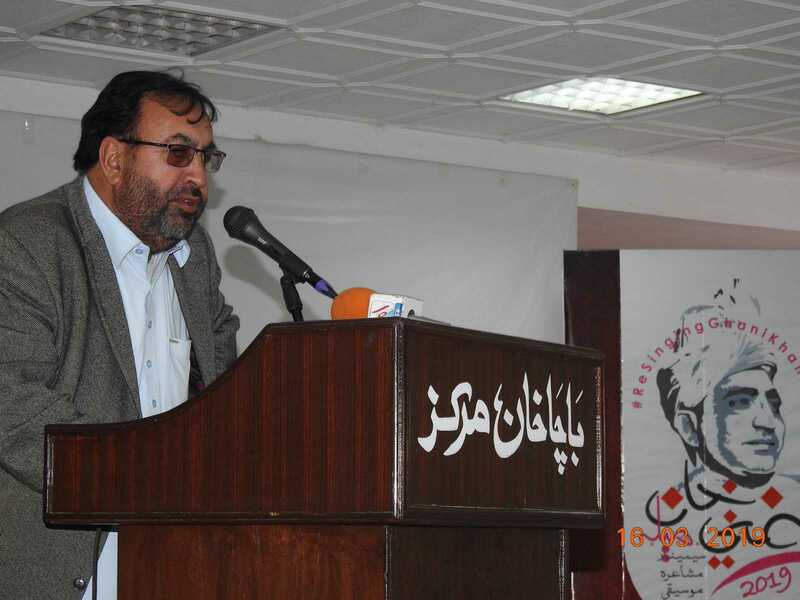 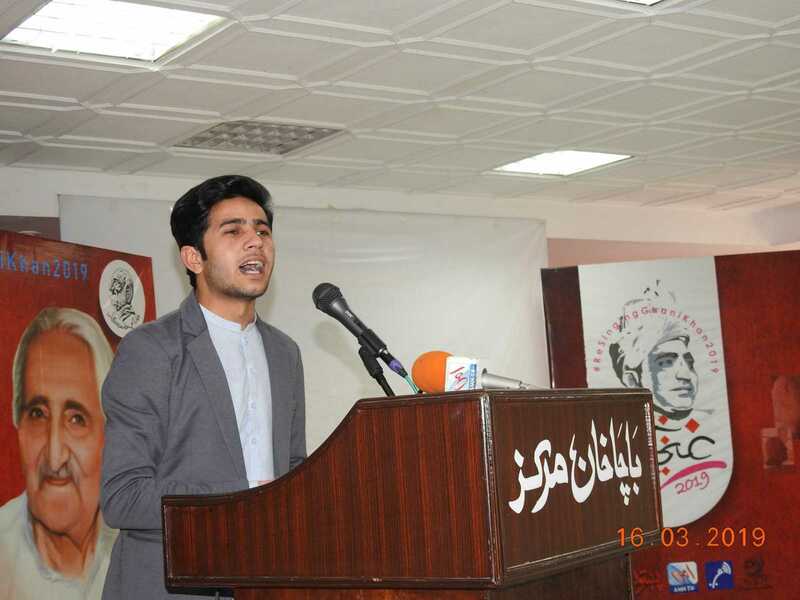 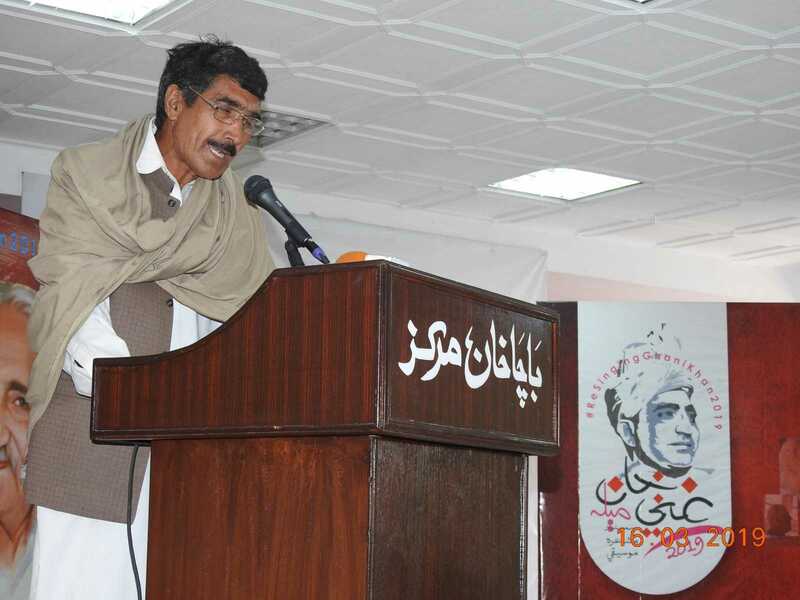 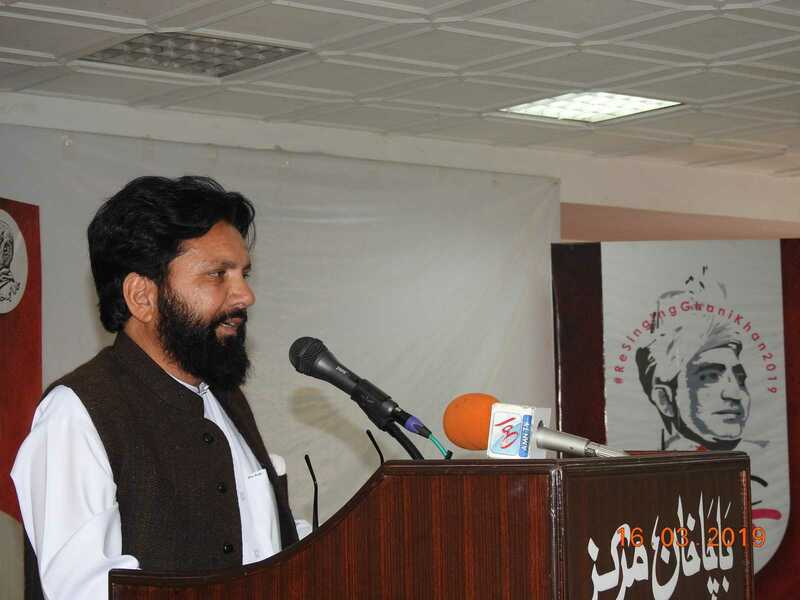 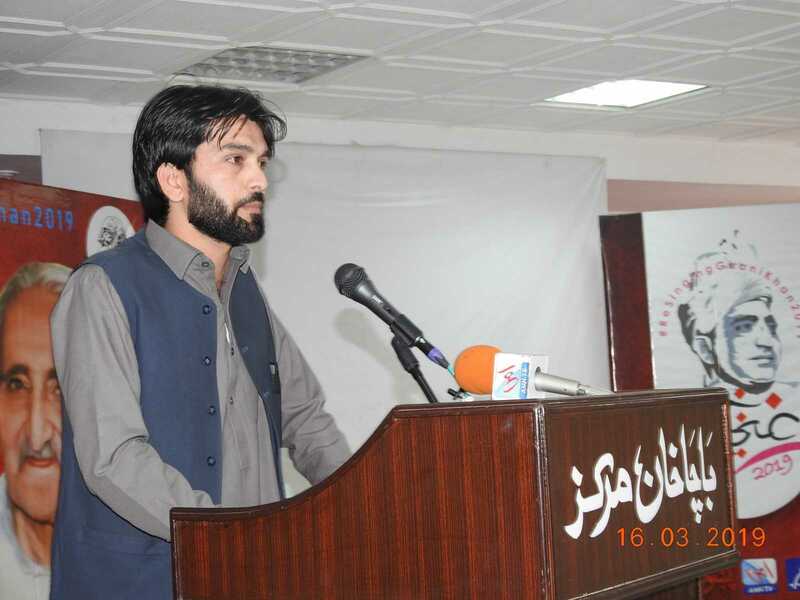 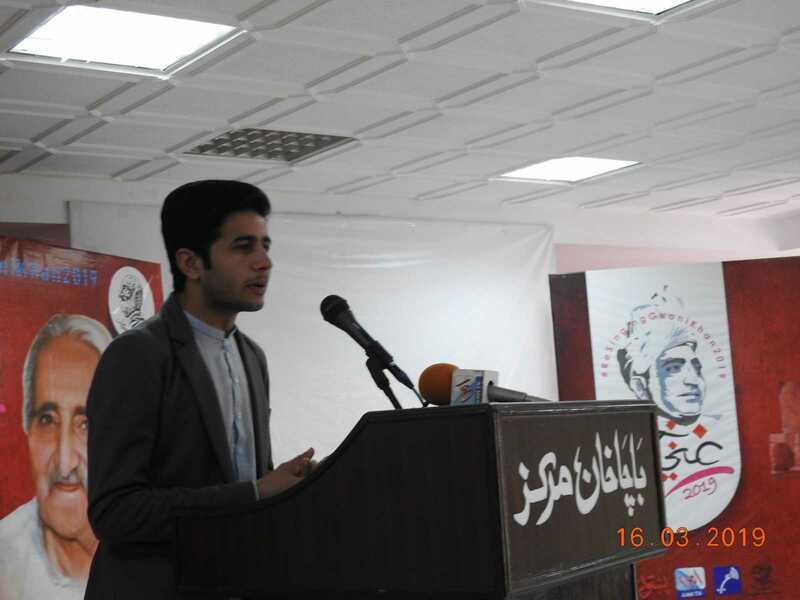 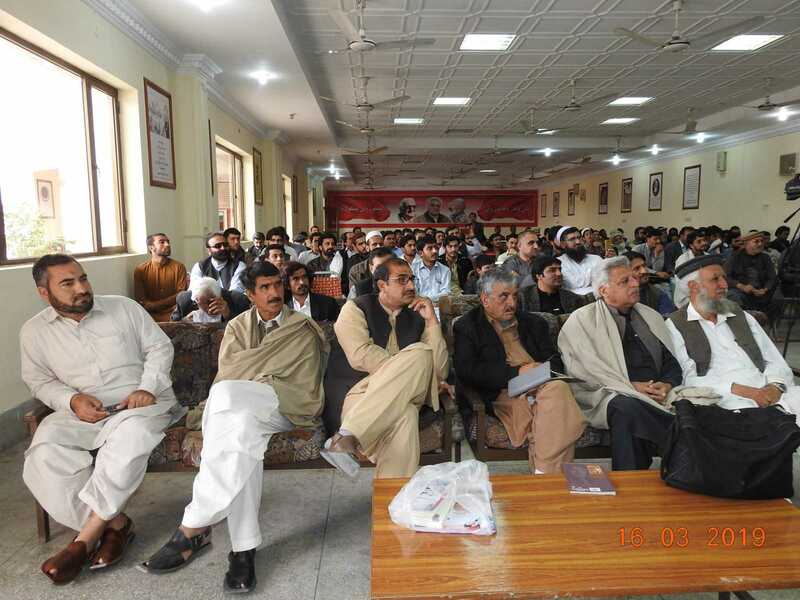 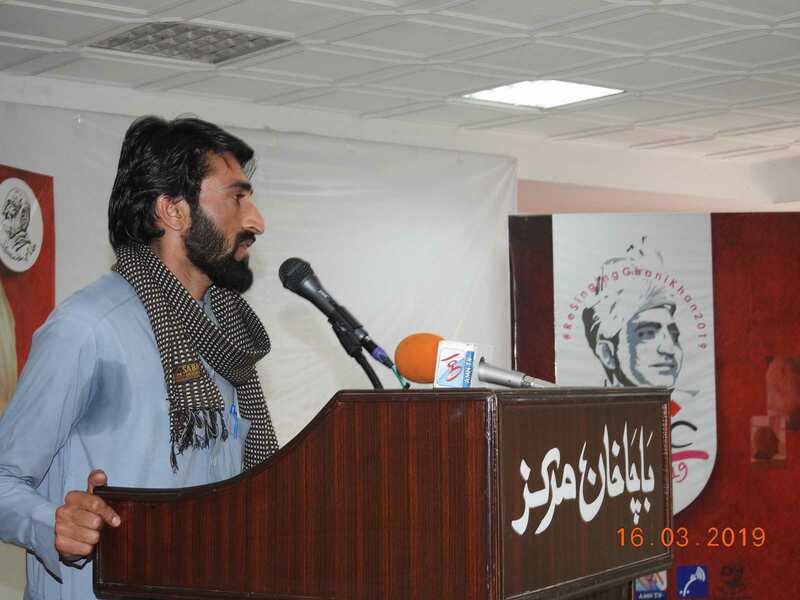 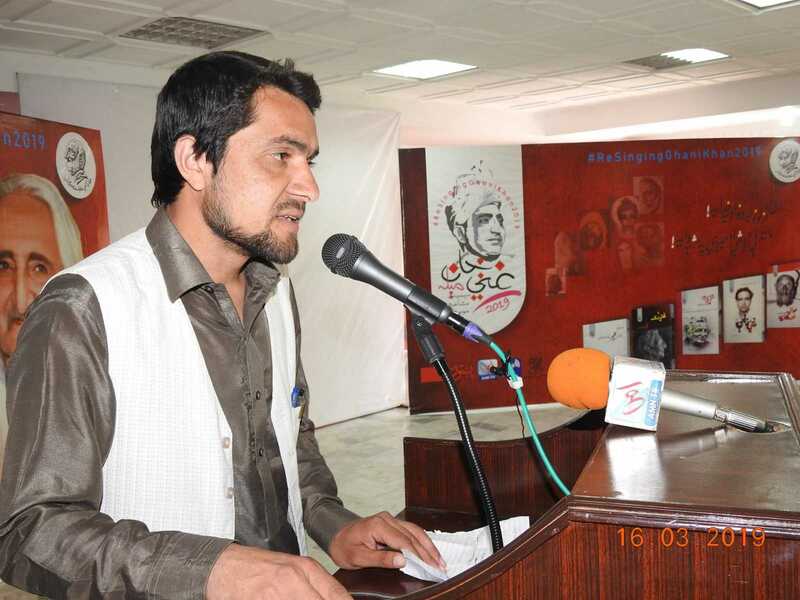 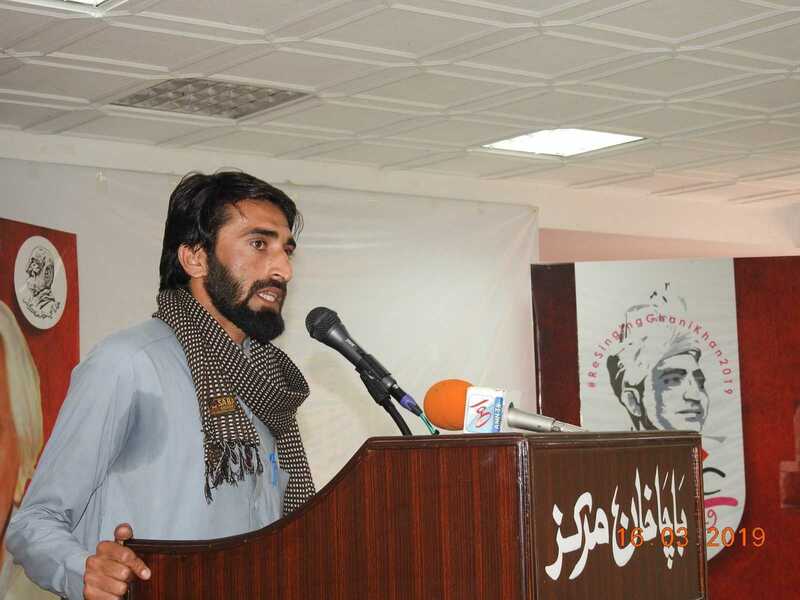 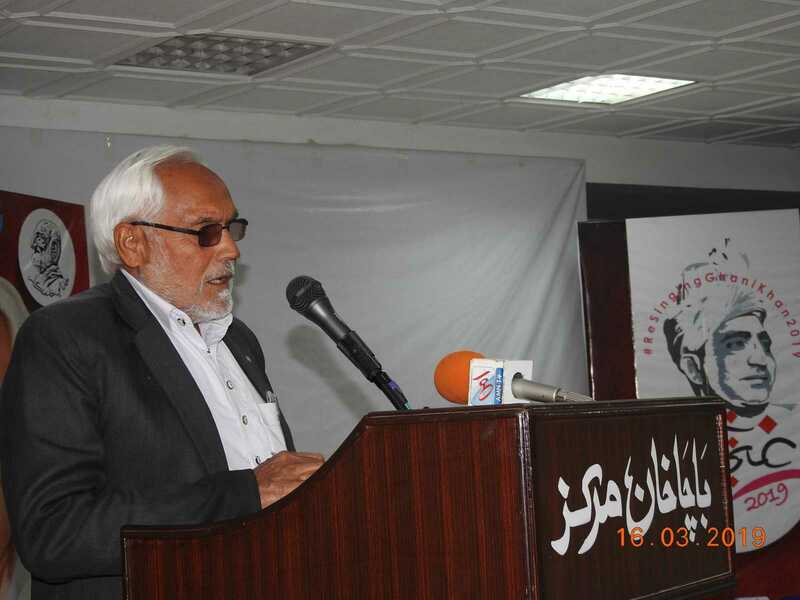 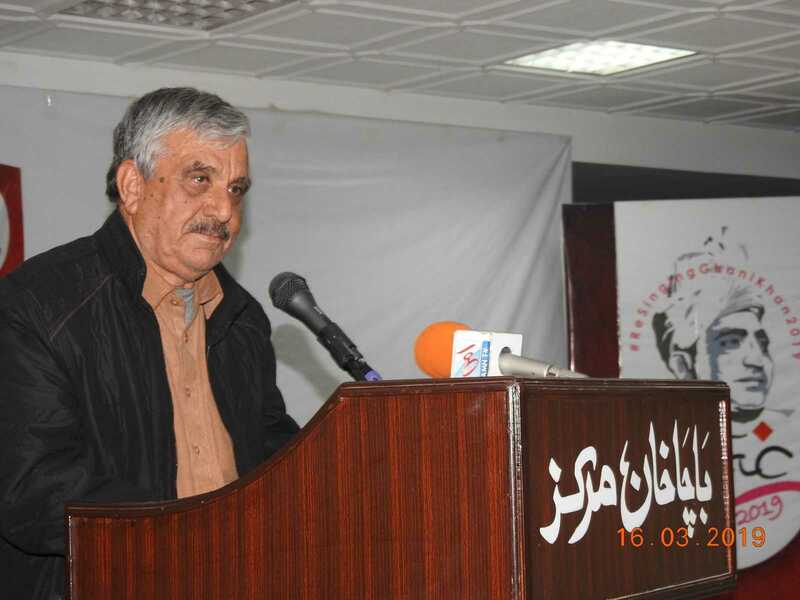 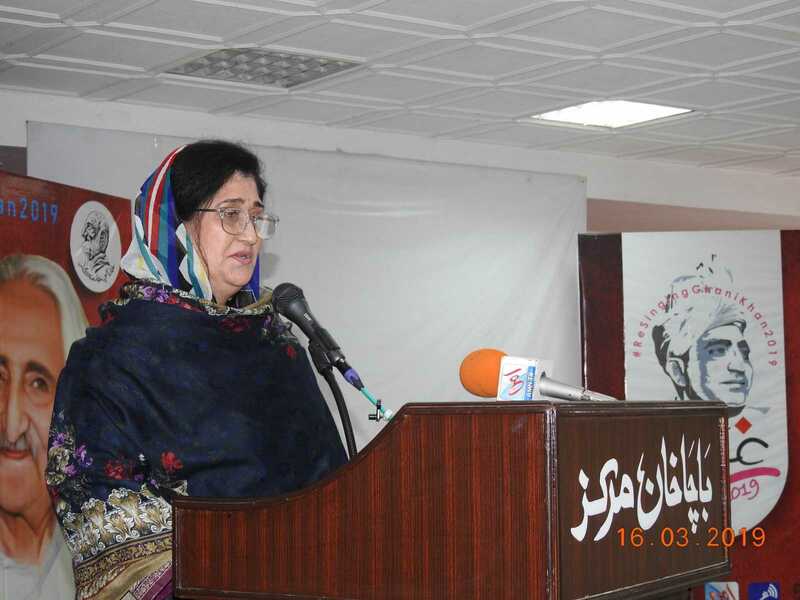 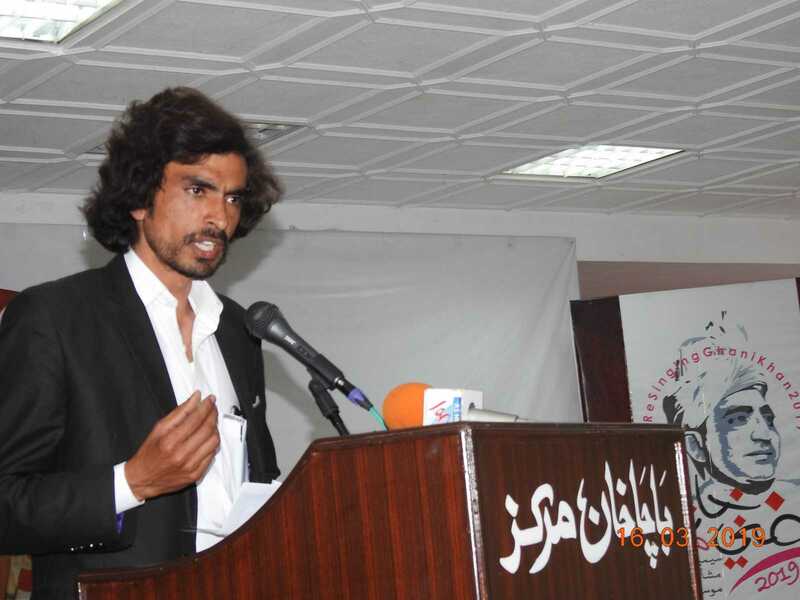 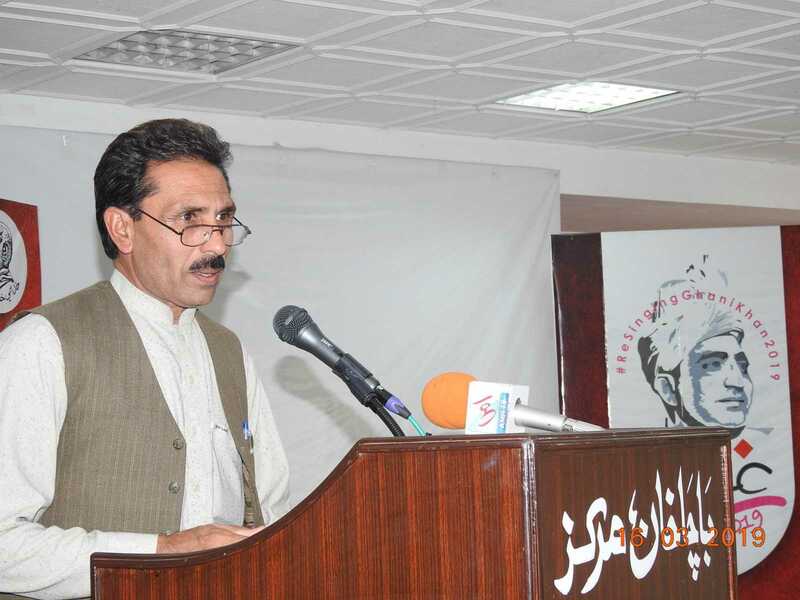 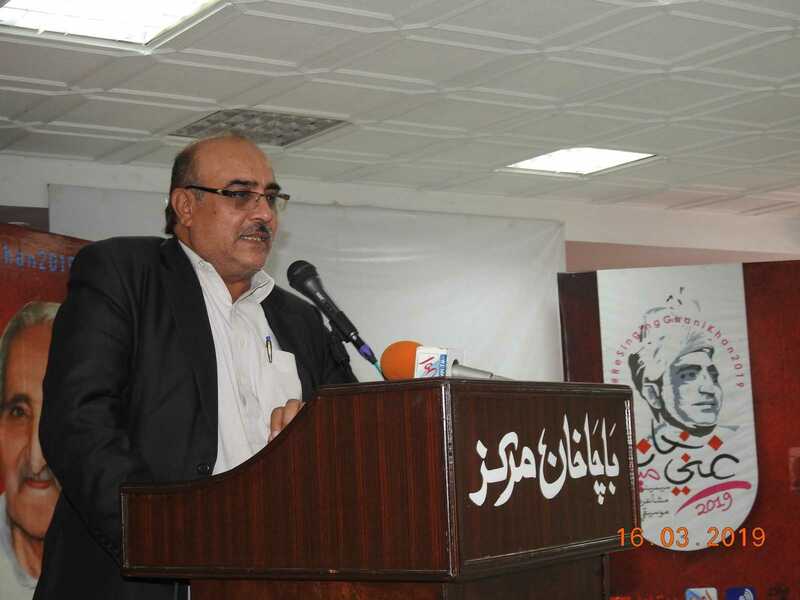 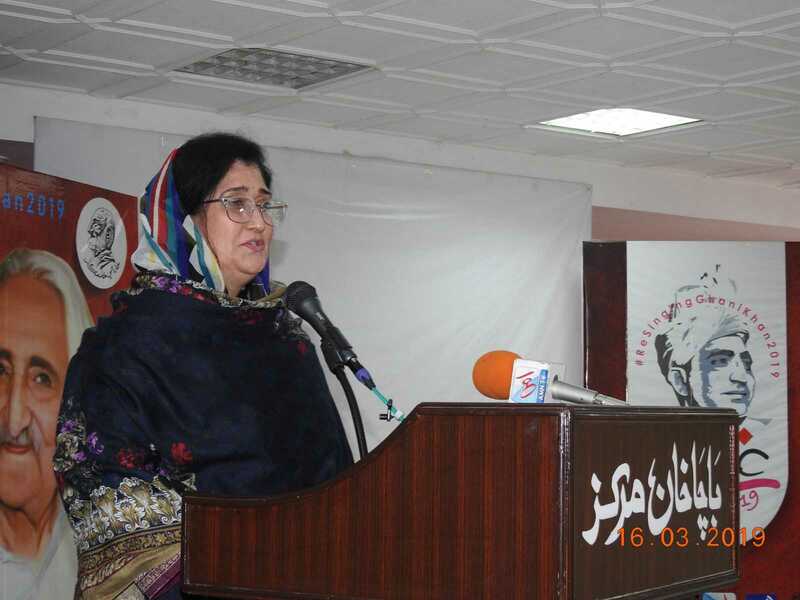 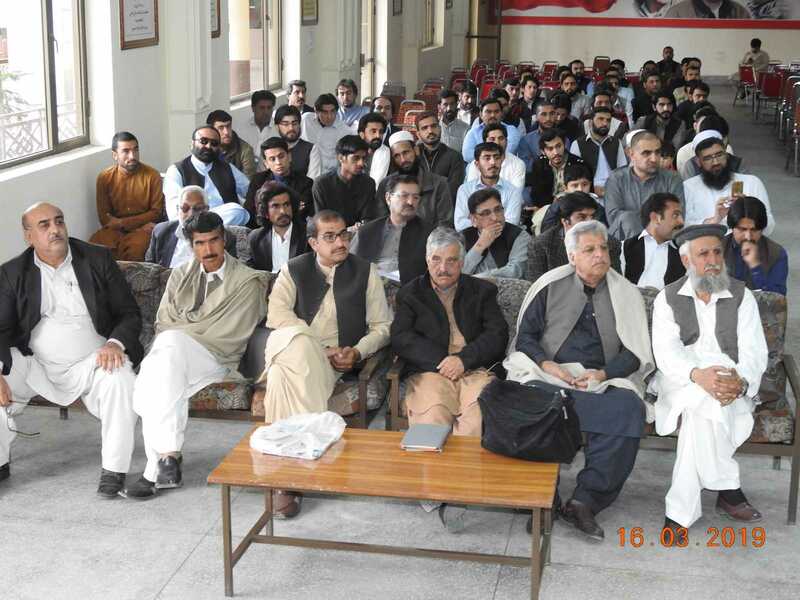 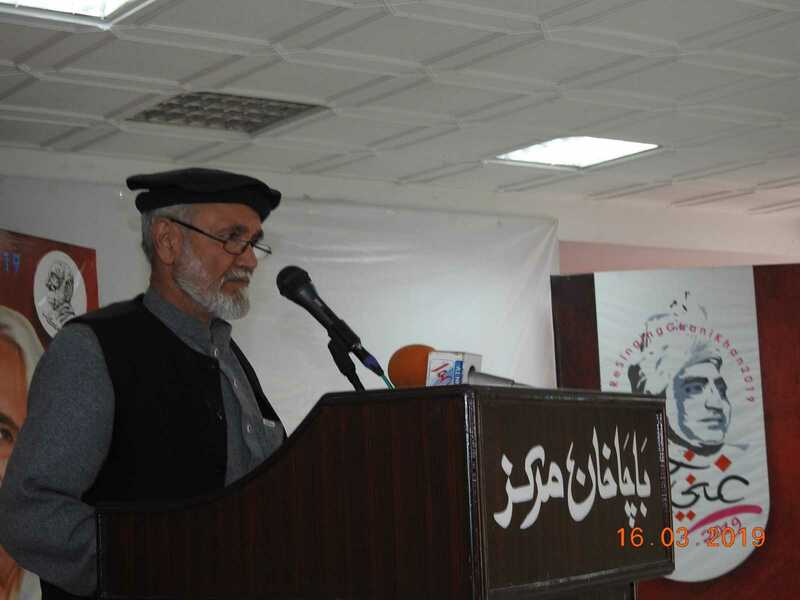 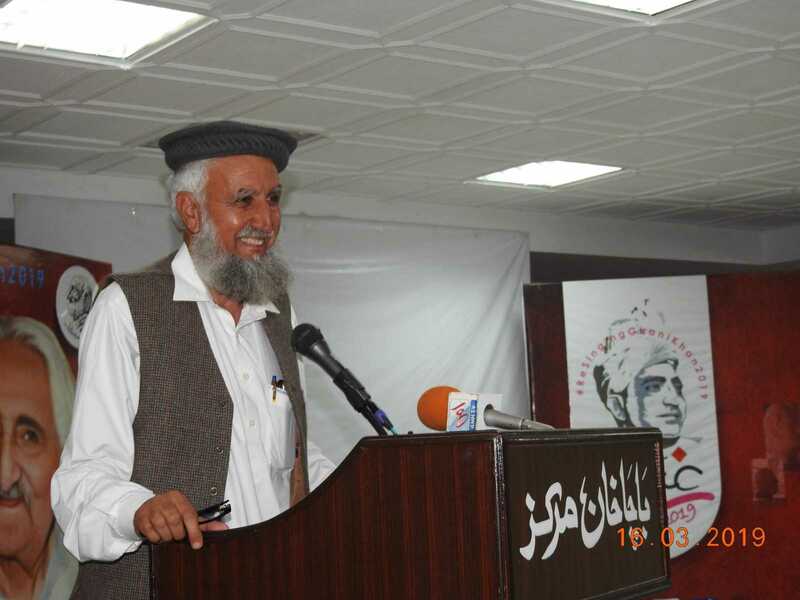 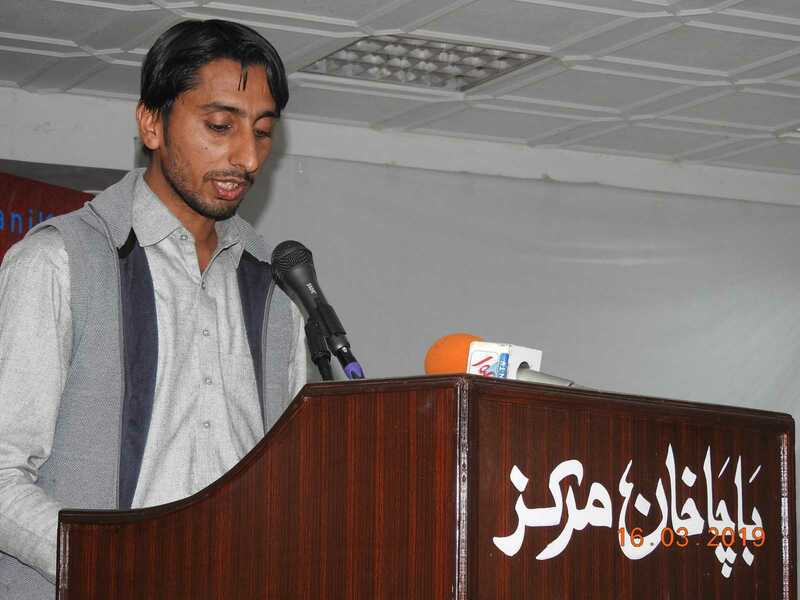 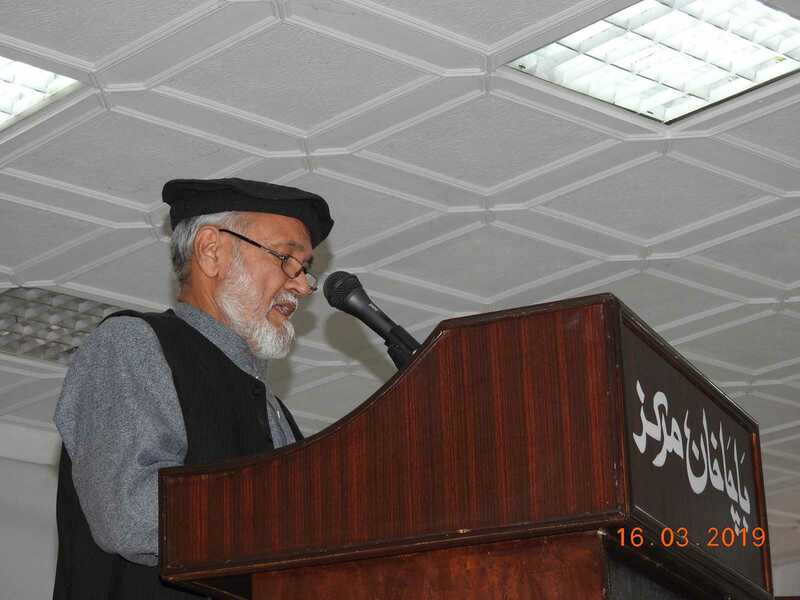 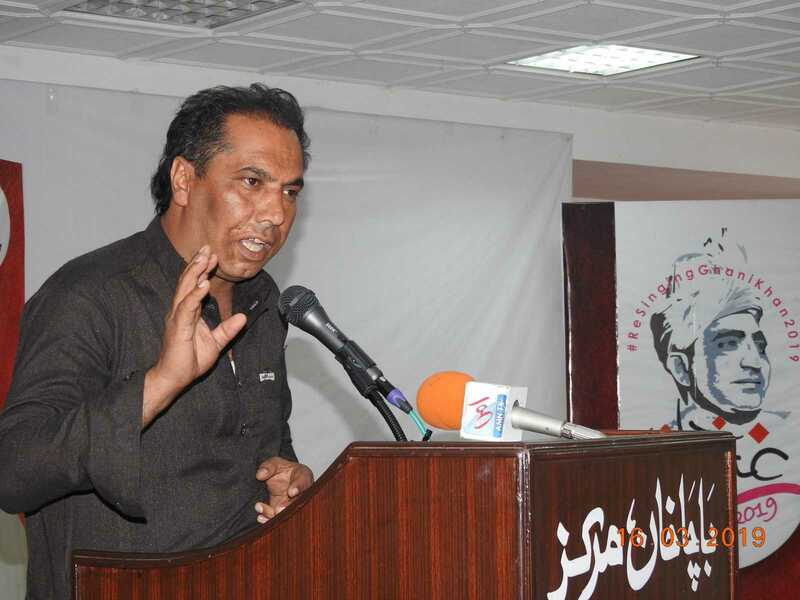 Dozens of pashto poets participated in this event. 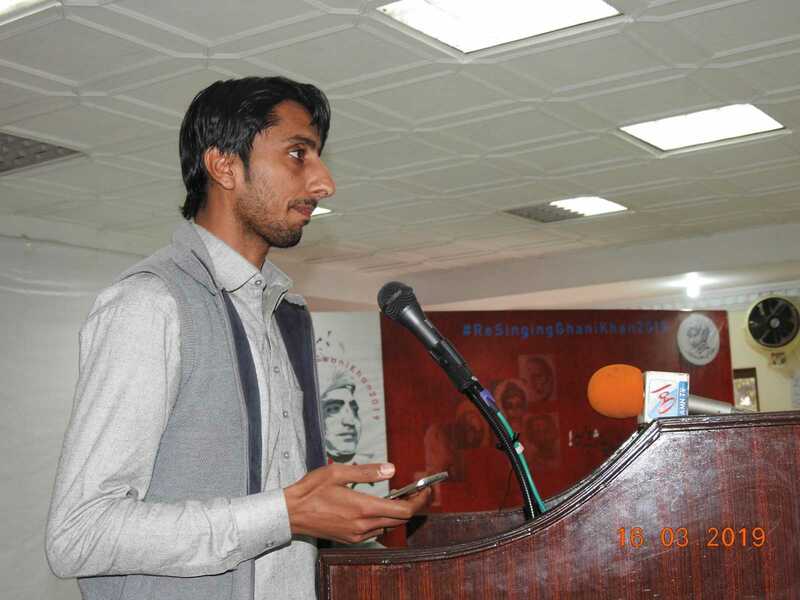 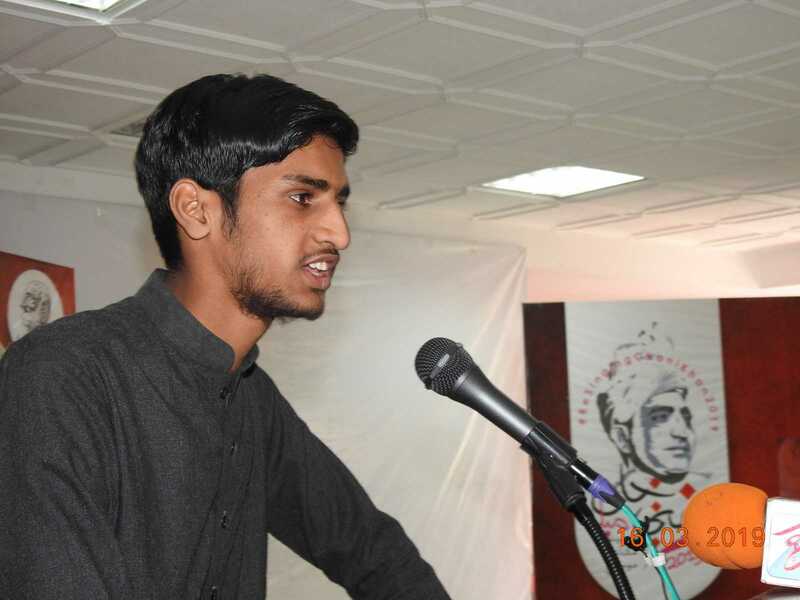 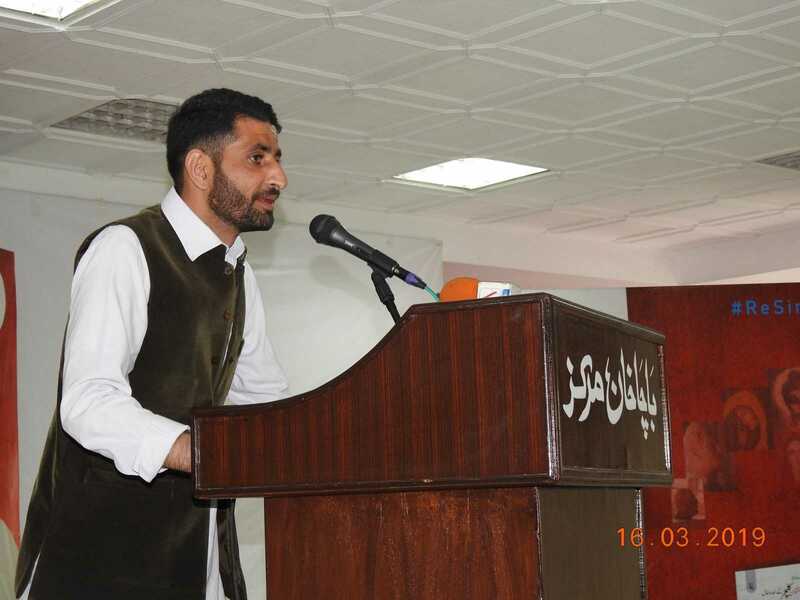 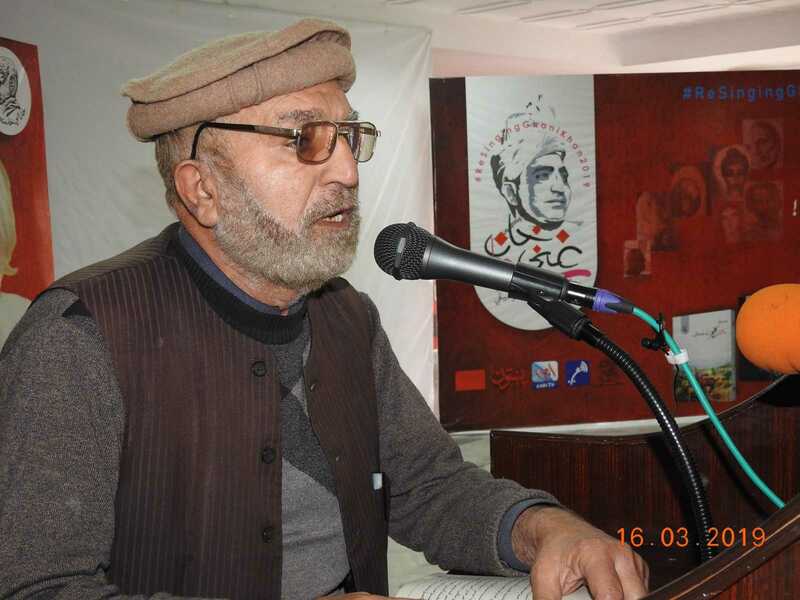 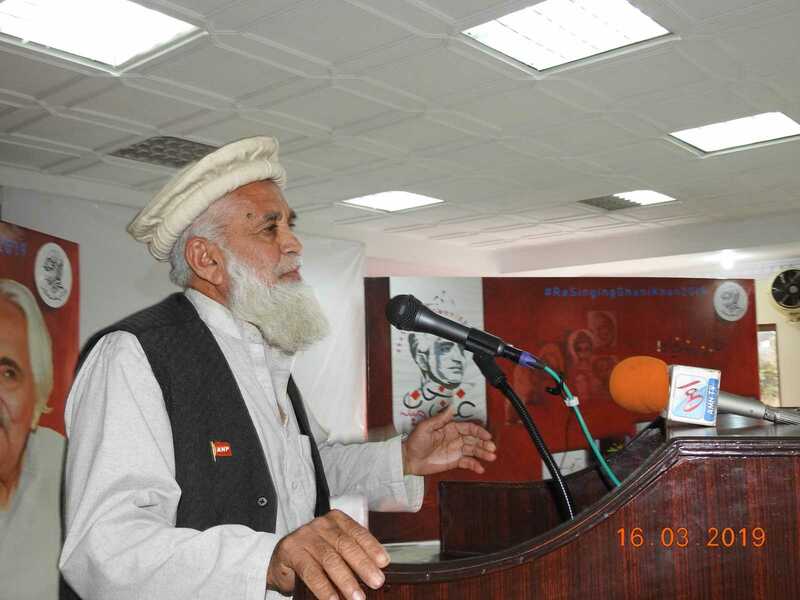 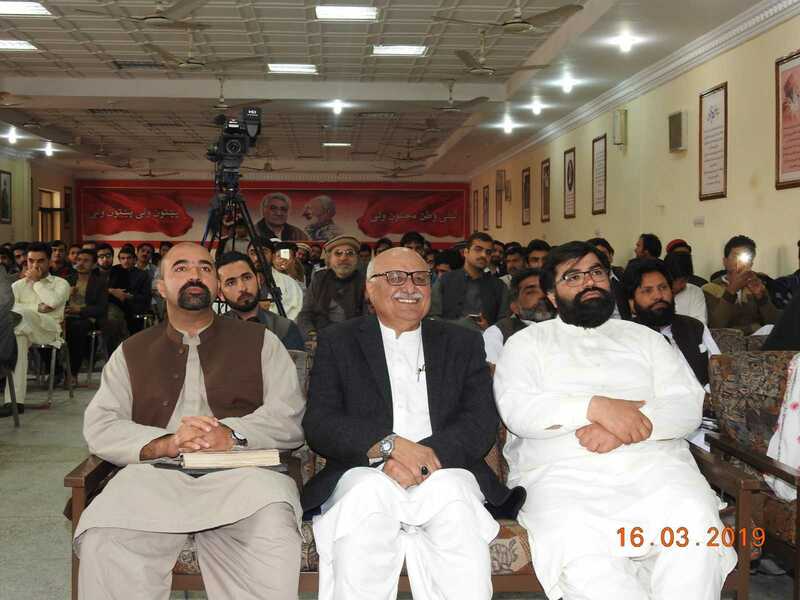 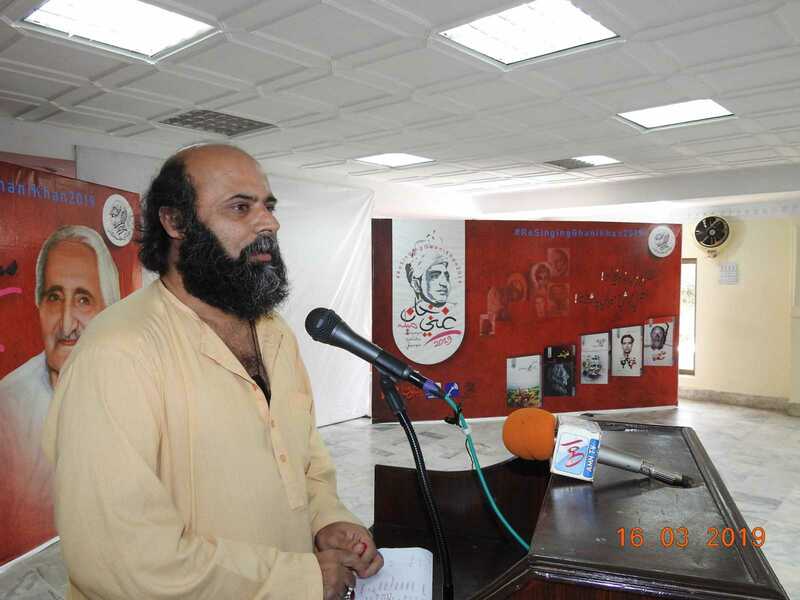 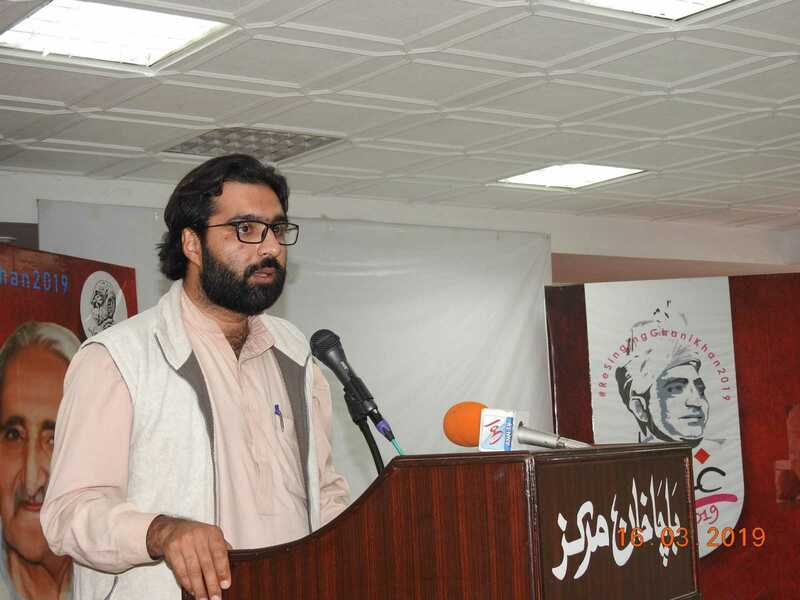 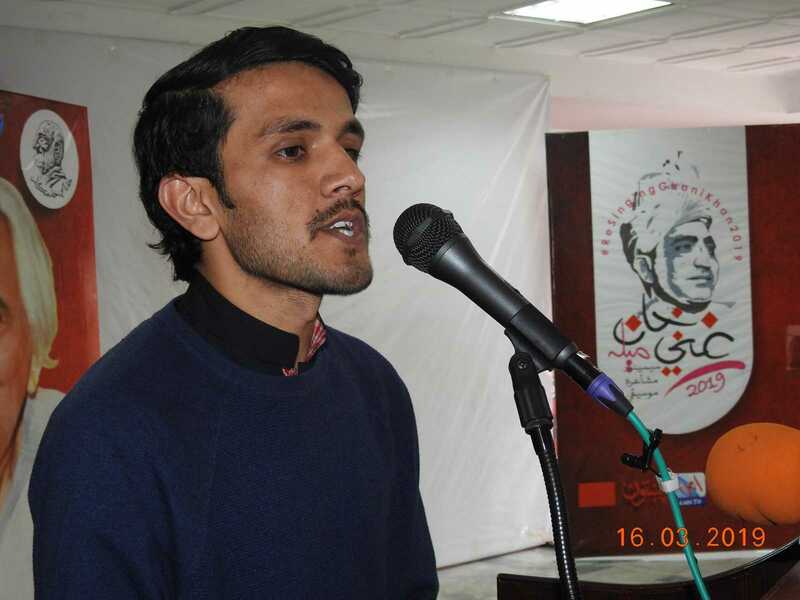 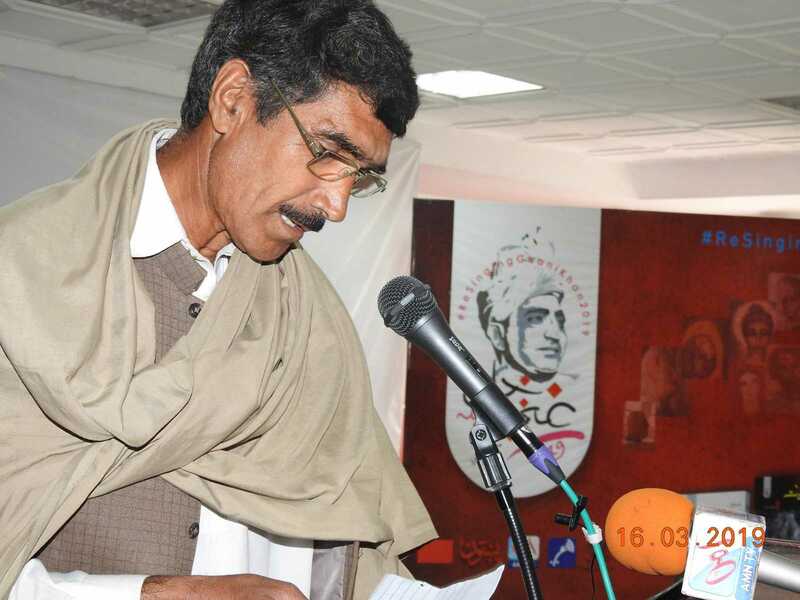 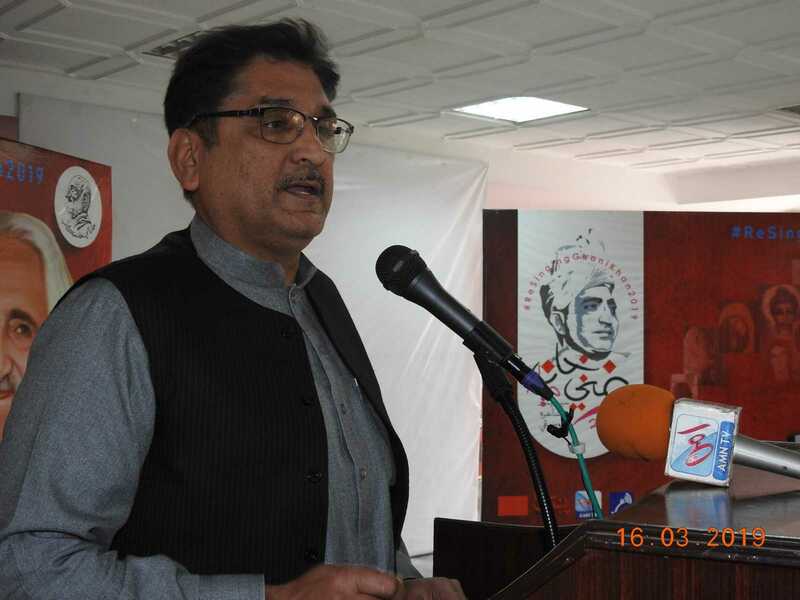 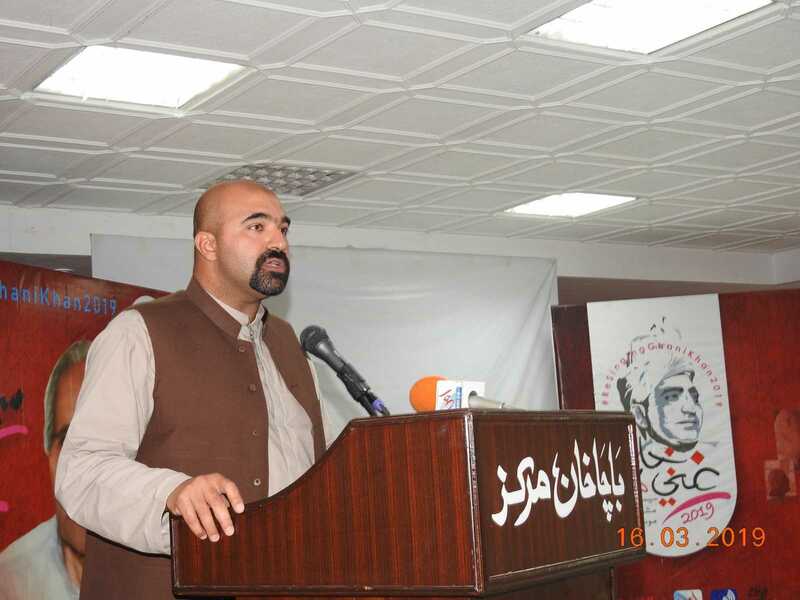 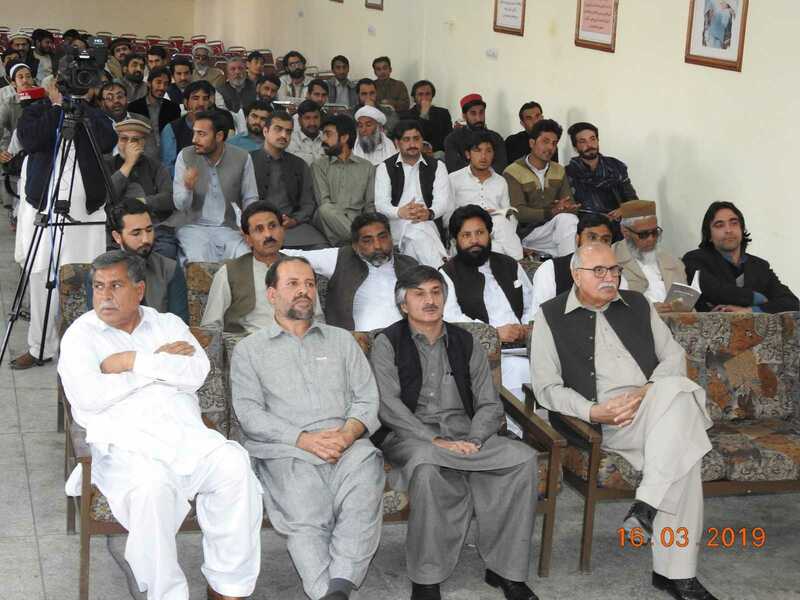 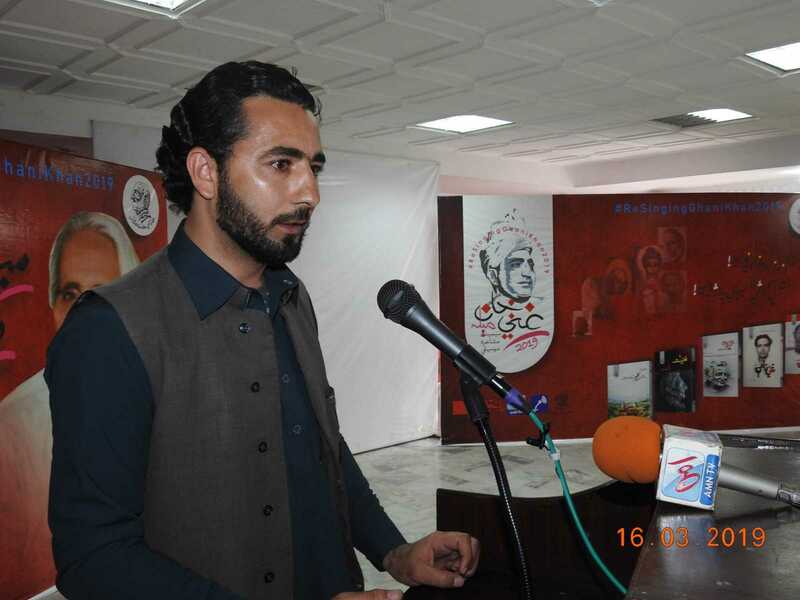 Most popular poets including Shams Buneri, Iqbal Shakir, Talal Baidar Asalzay, Abdul Rahim Roghaani, Aziz Manirwal, Muhammad Gul Mansoor, Jalal Khalil, M.R Shafaq and Kashif Shamal Muhammadzai read their poetry and entertained listeners. 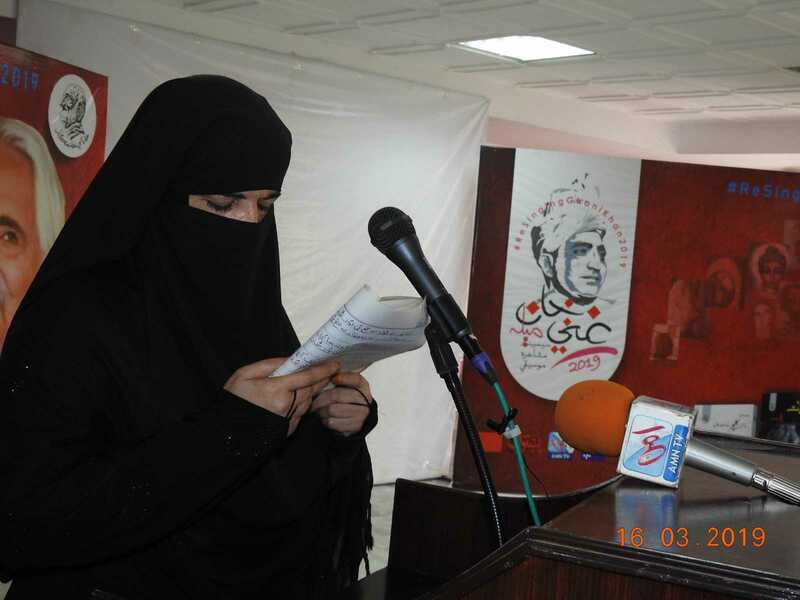 Stage secretary of this event was Hayat Roghaani. 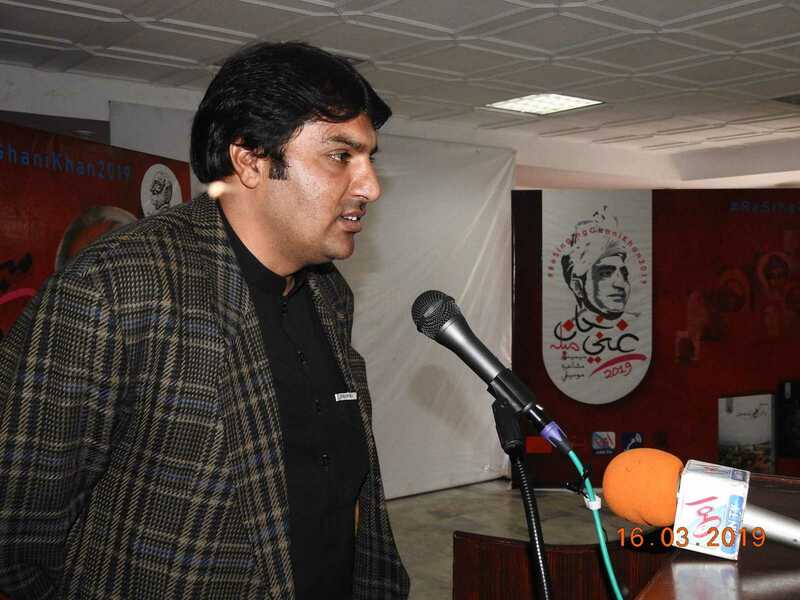 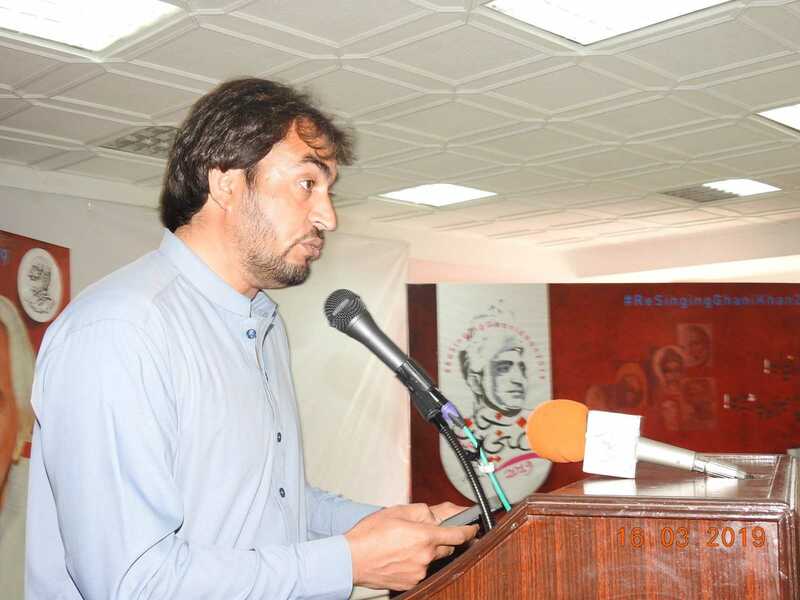 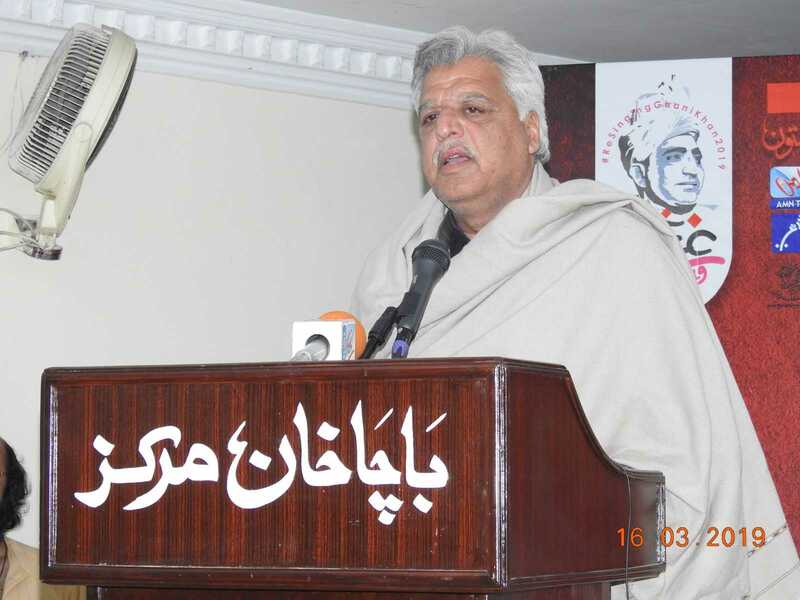 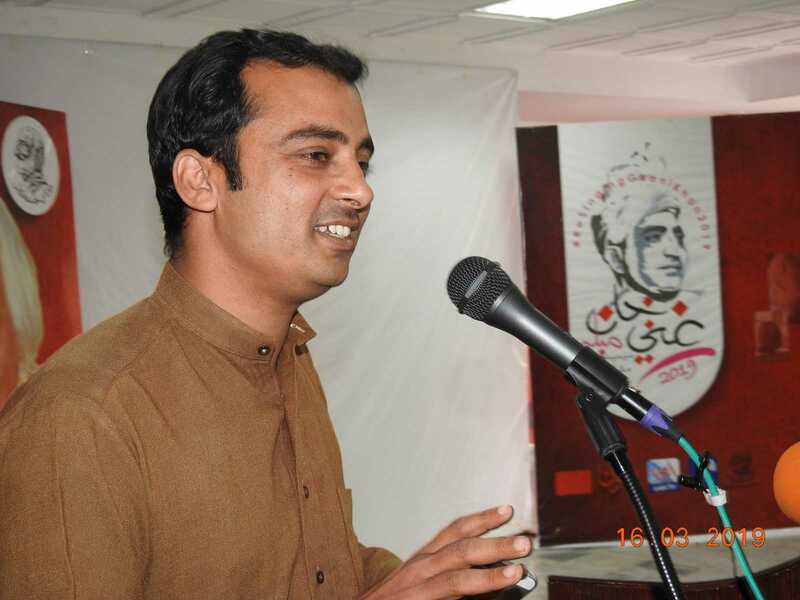 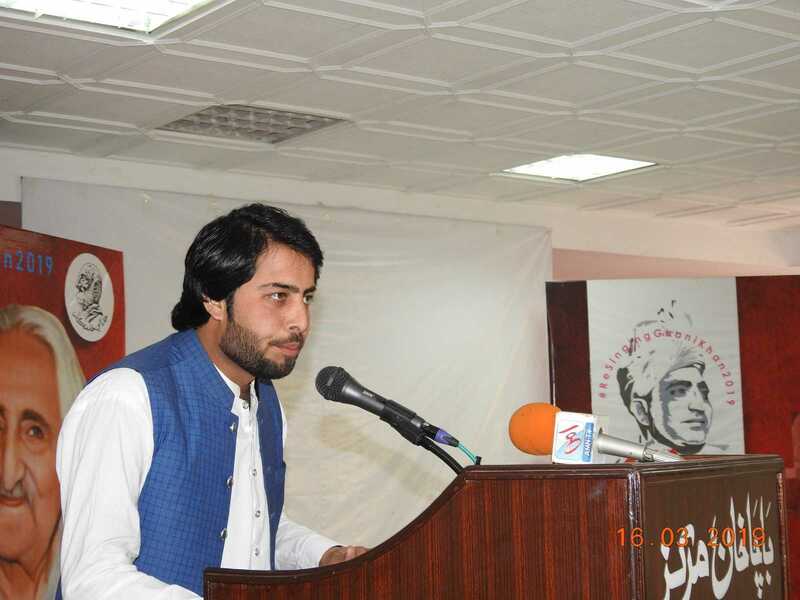 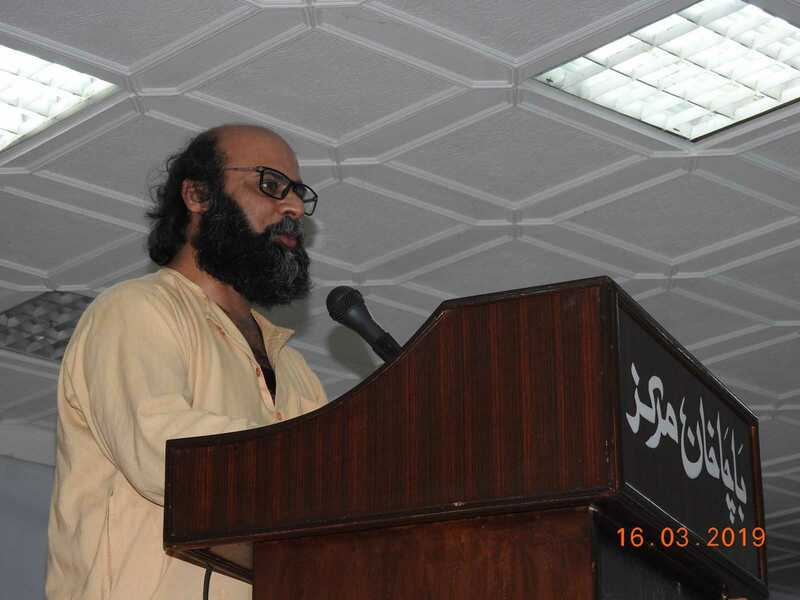 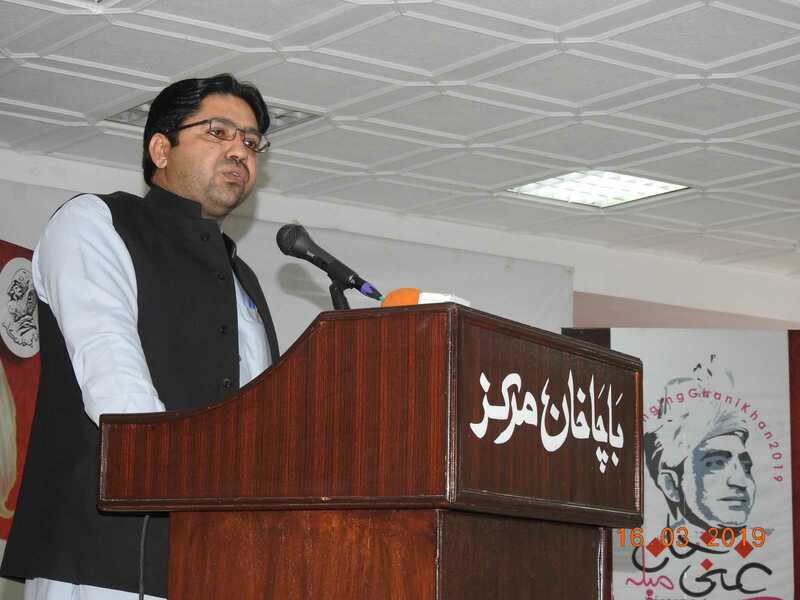 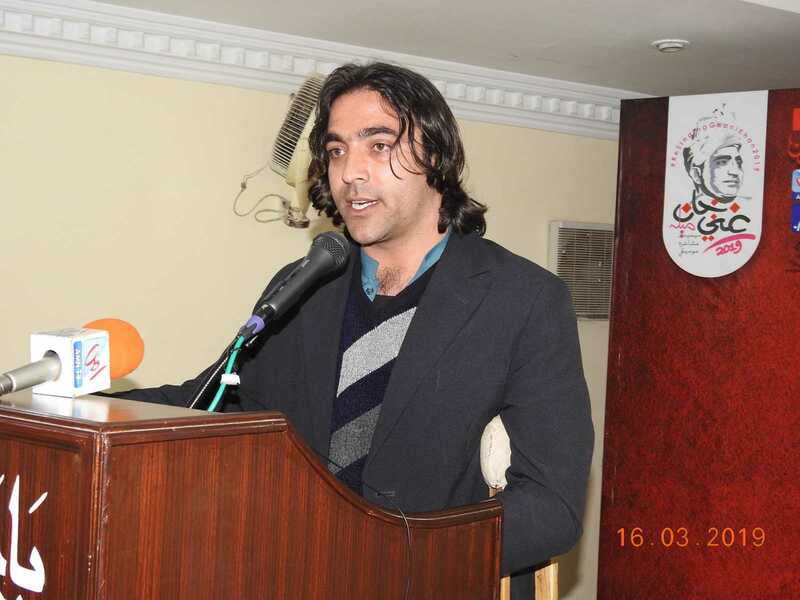 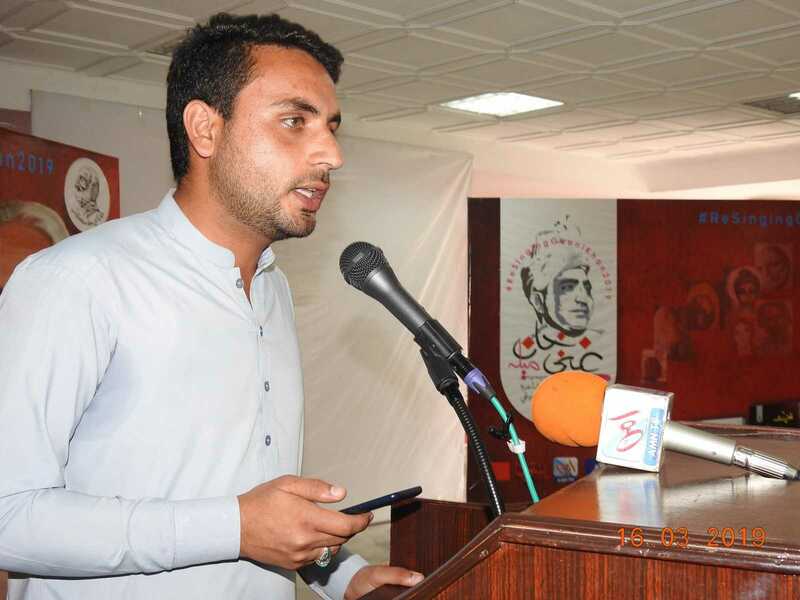 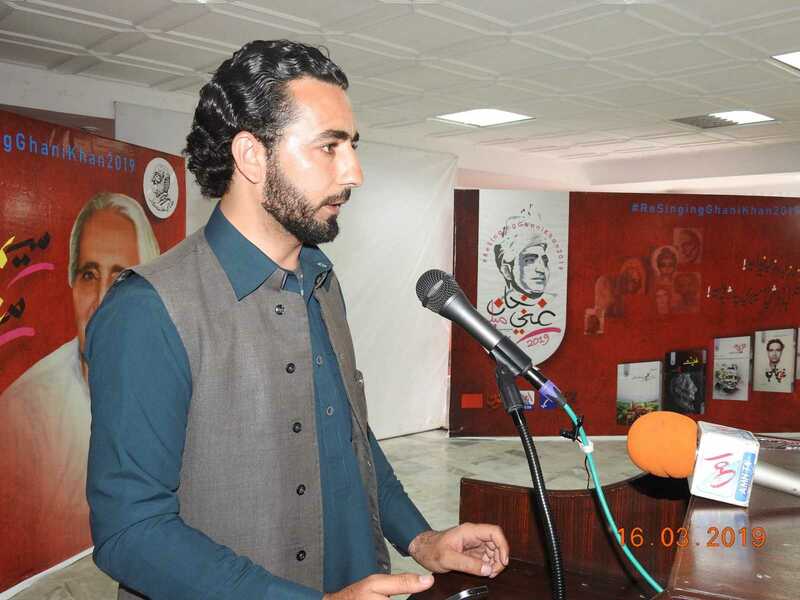 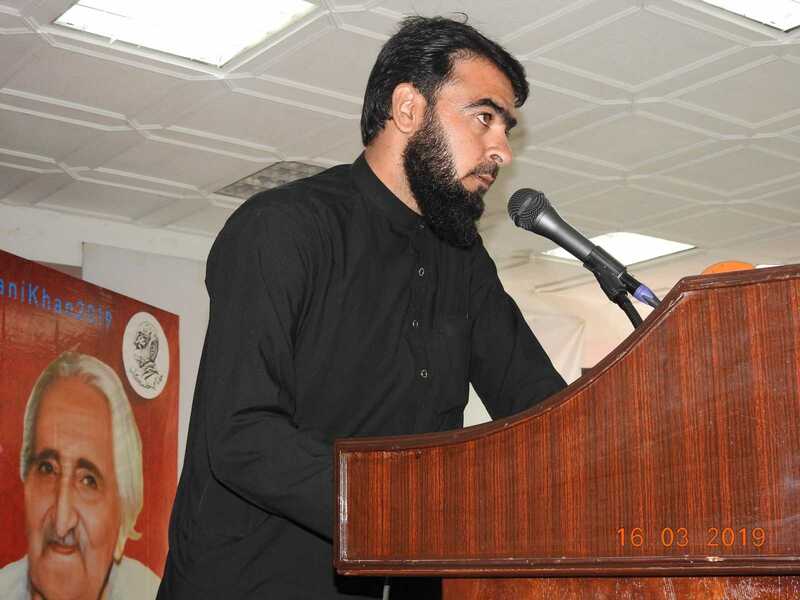 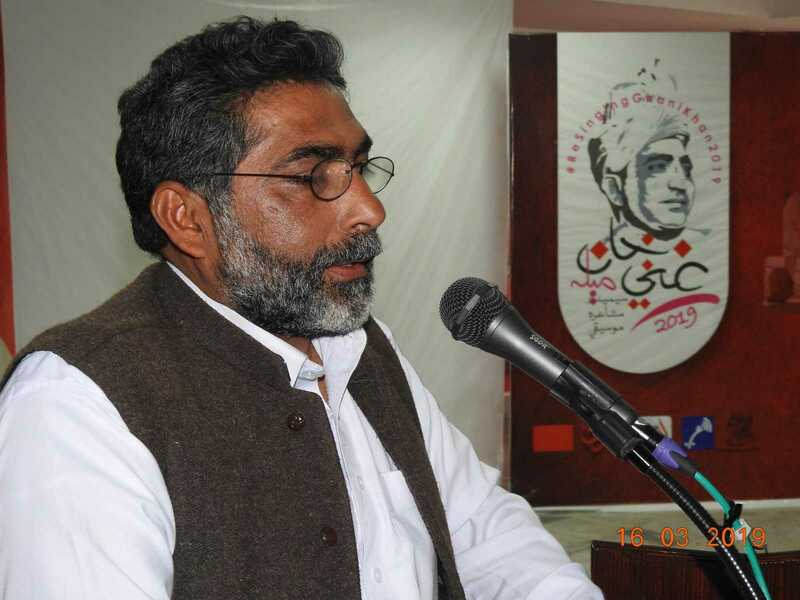 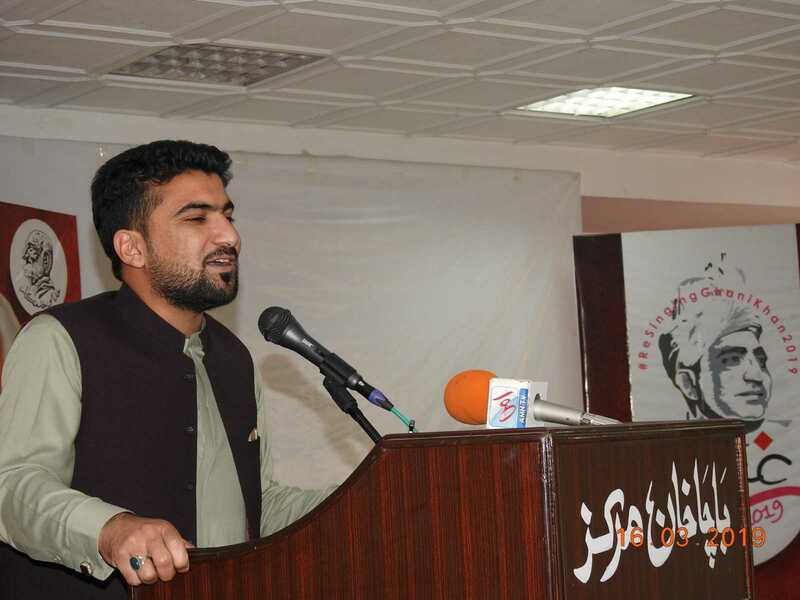 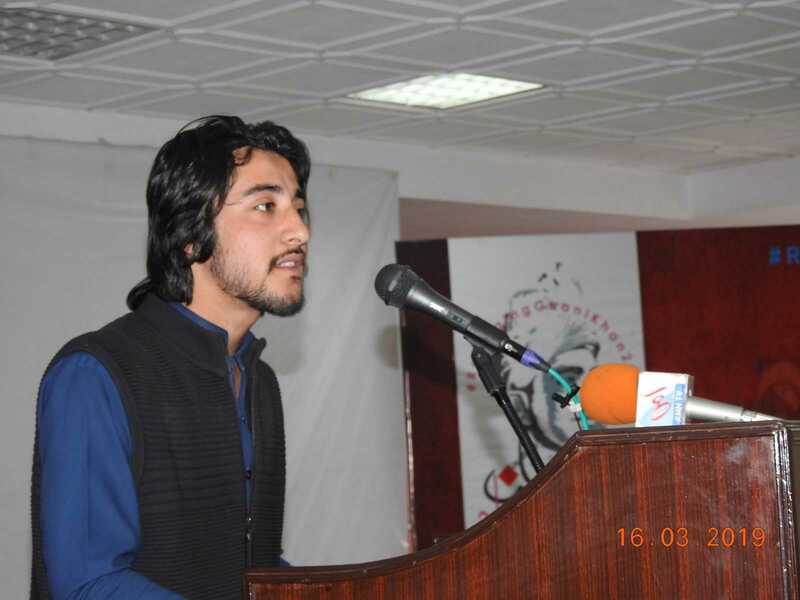 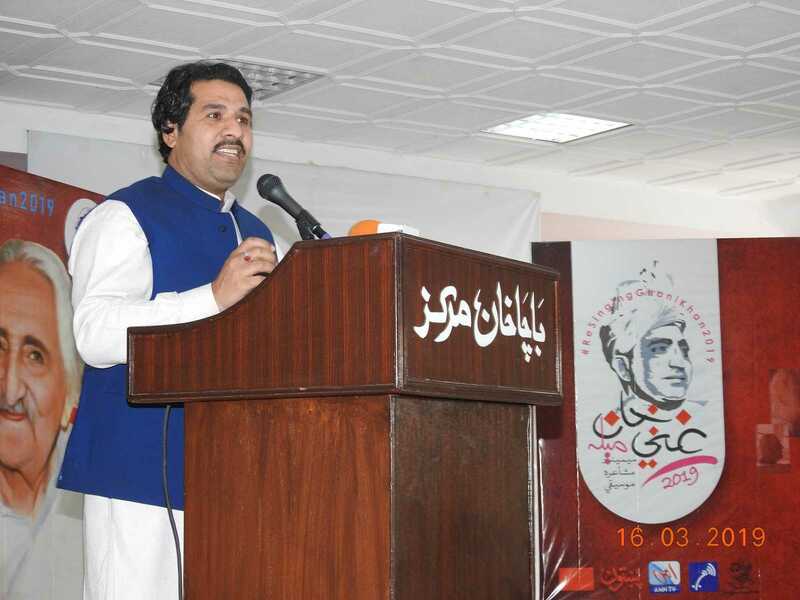 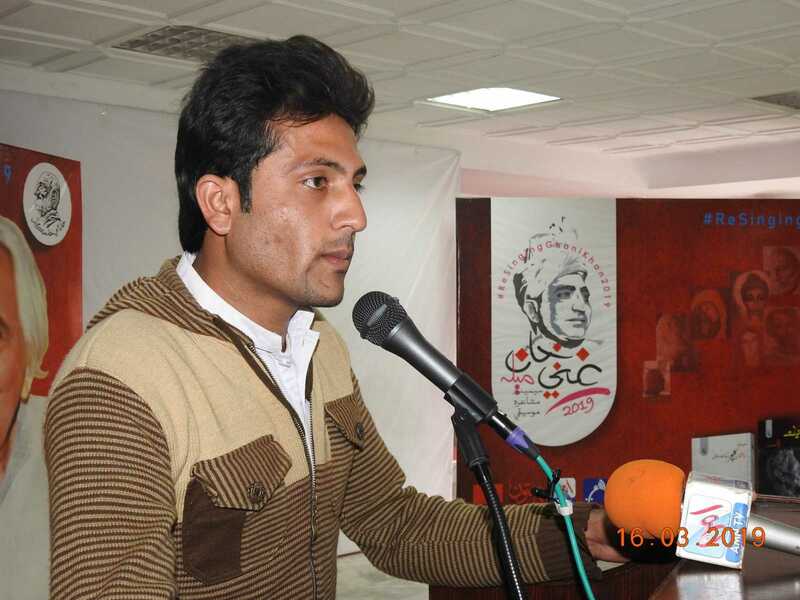 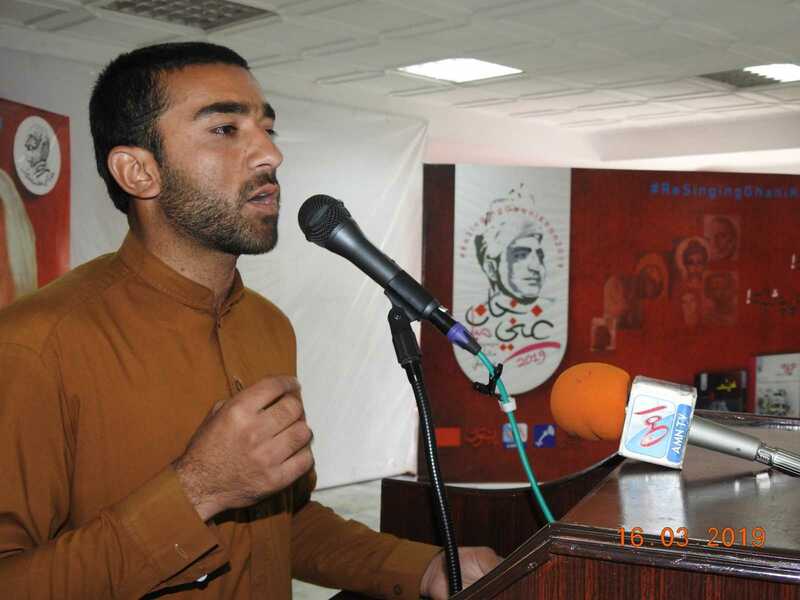 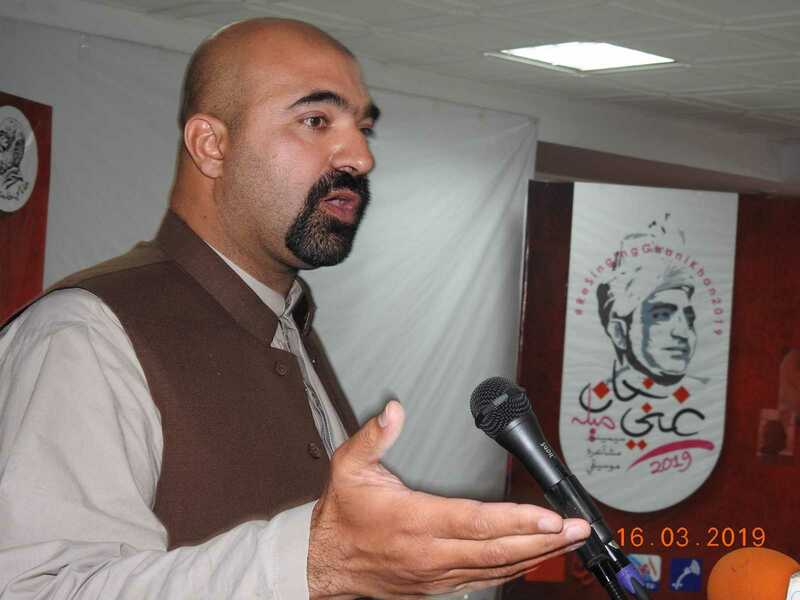 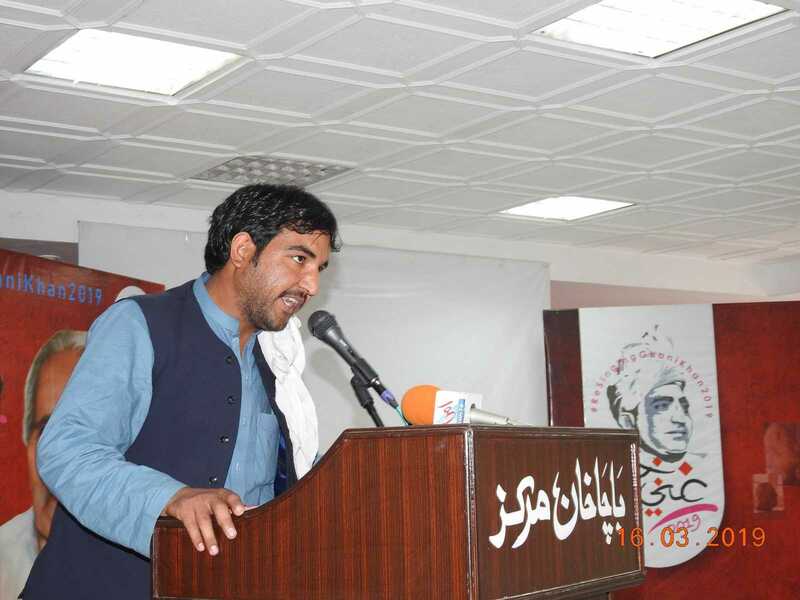 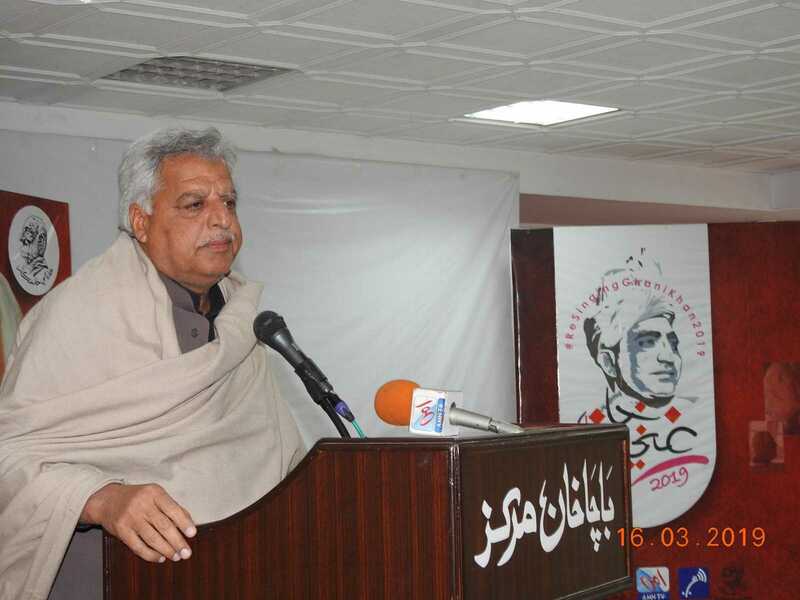 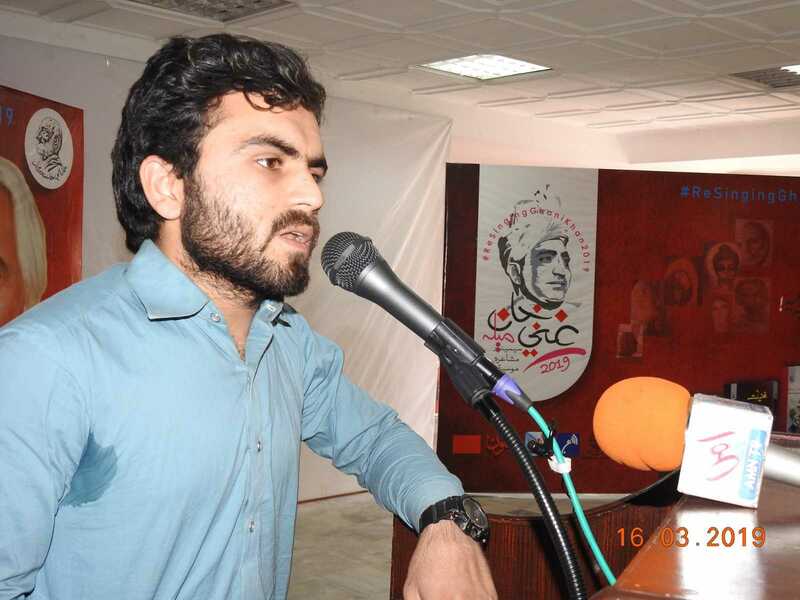 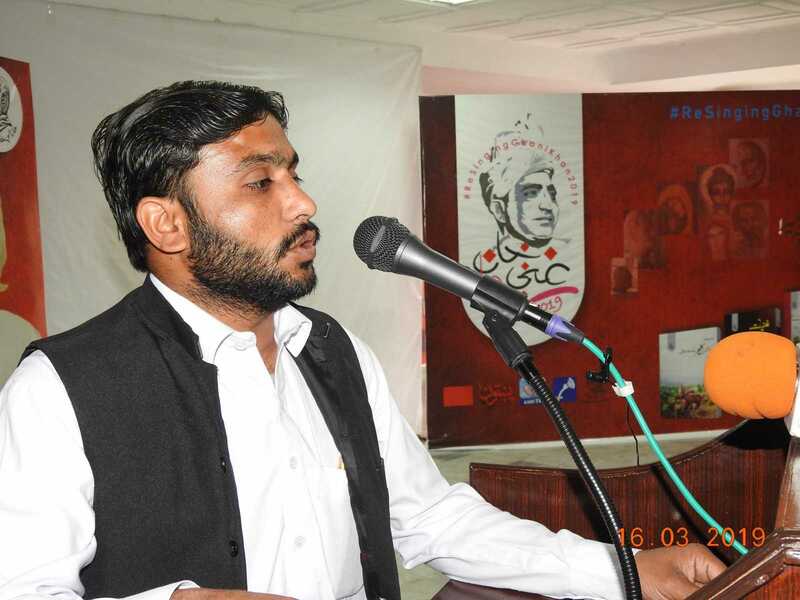 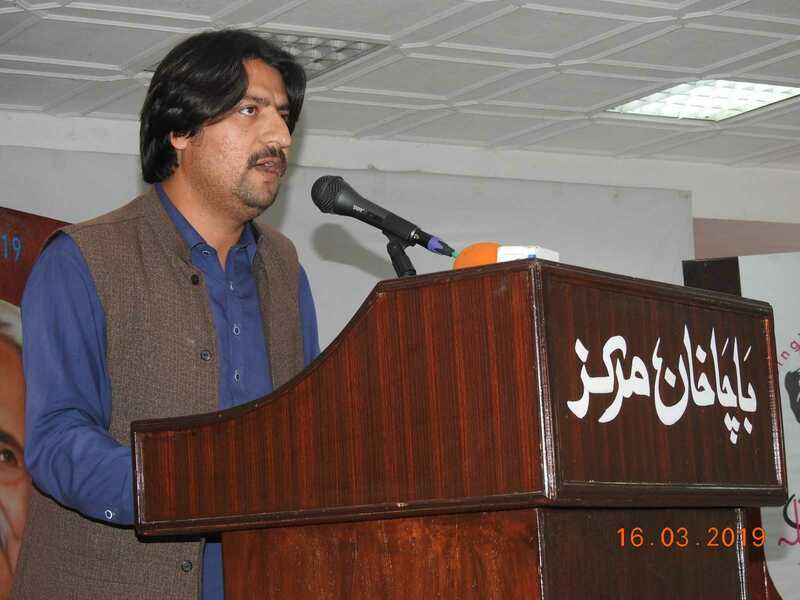 After mushaira, Mashal Khan (Grandson of Ghani Khan) gave a brief lecture on Ghani Khan’s poetry, work and struggle. 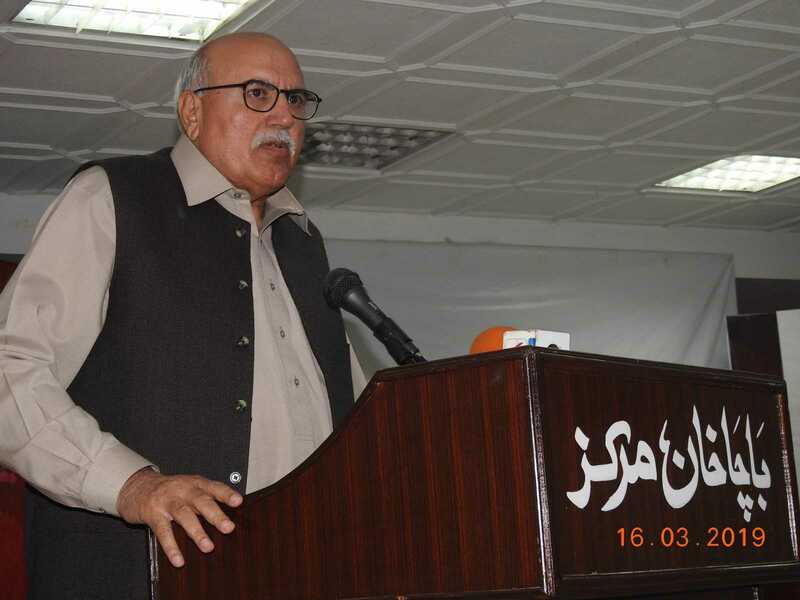 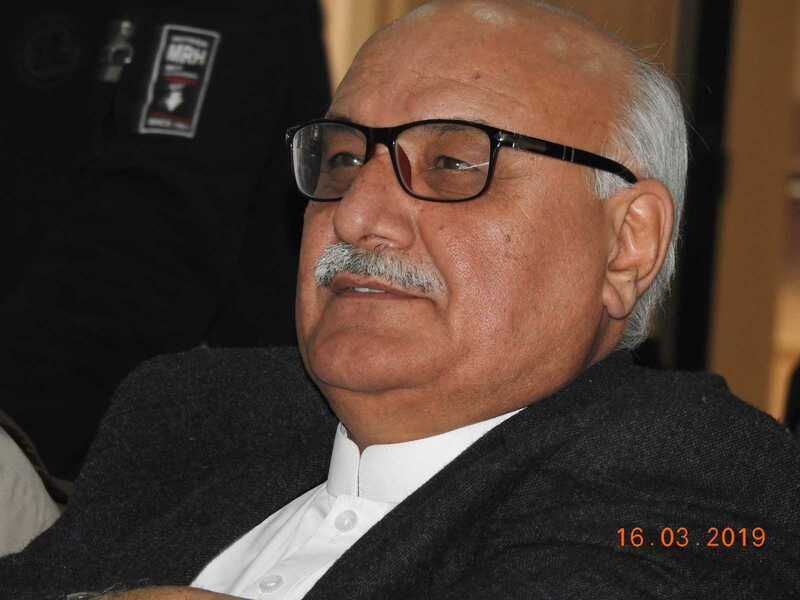 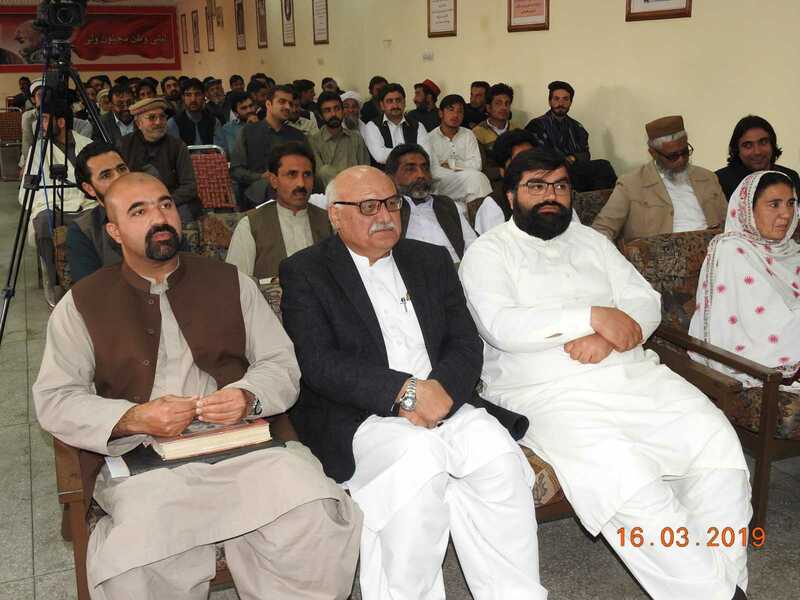 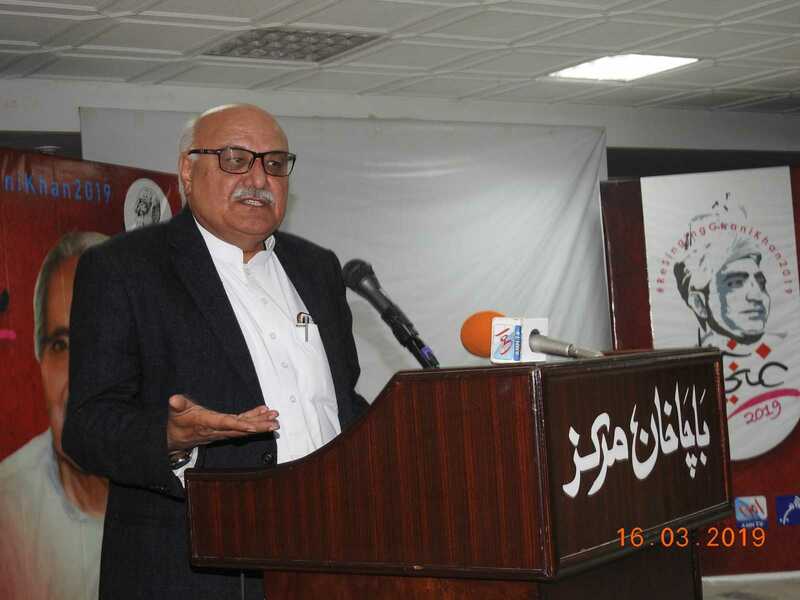 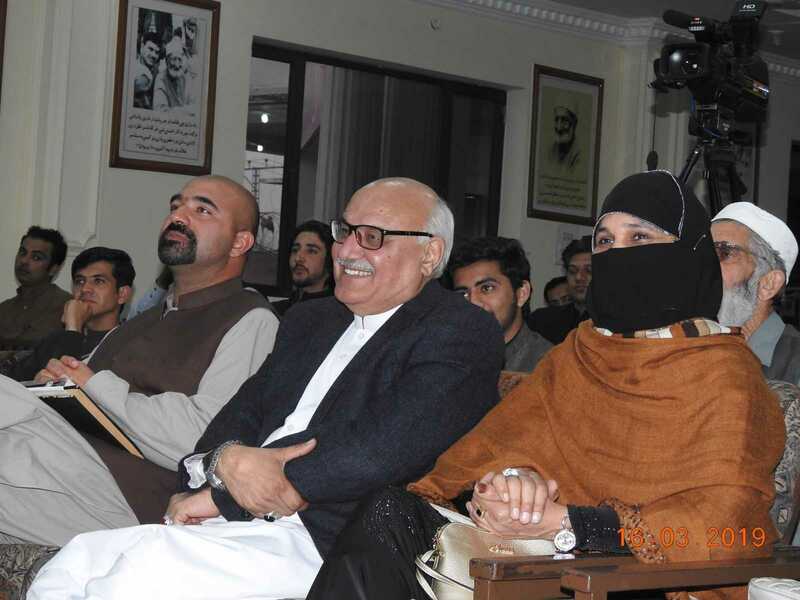 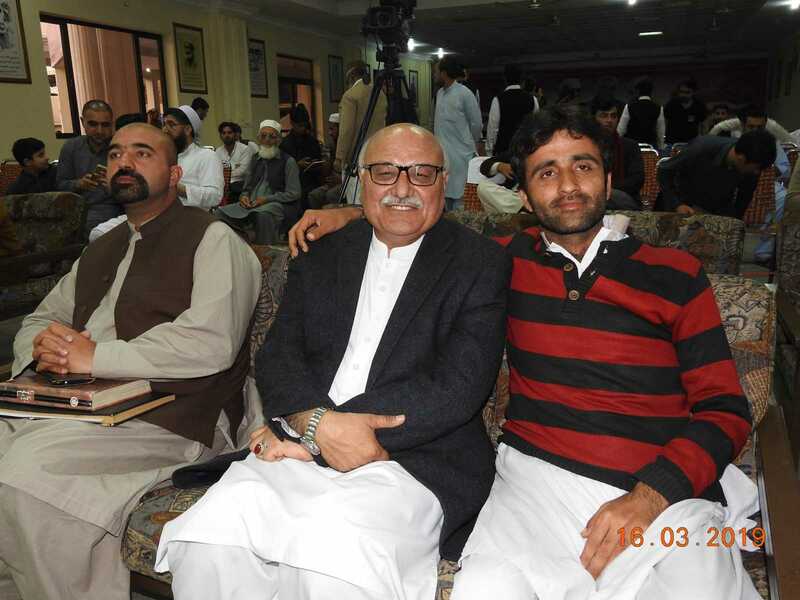 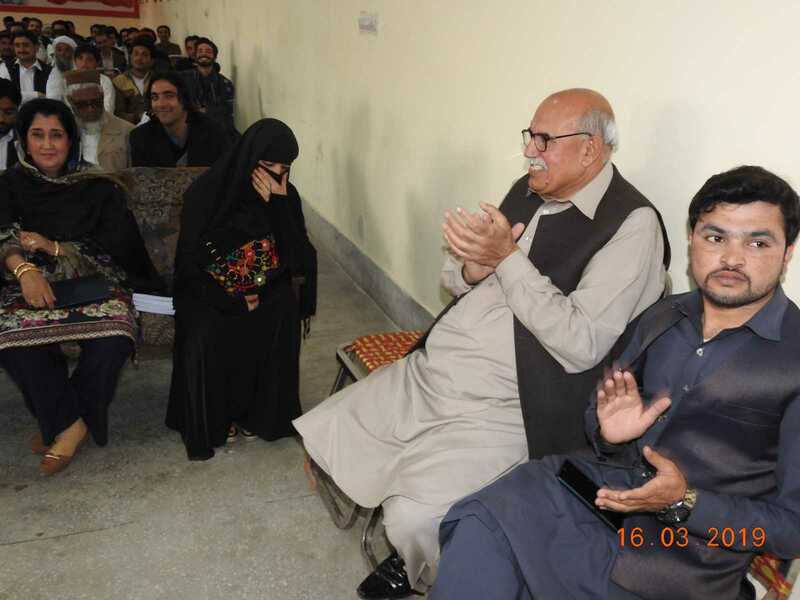 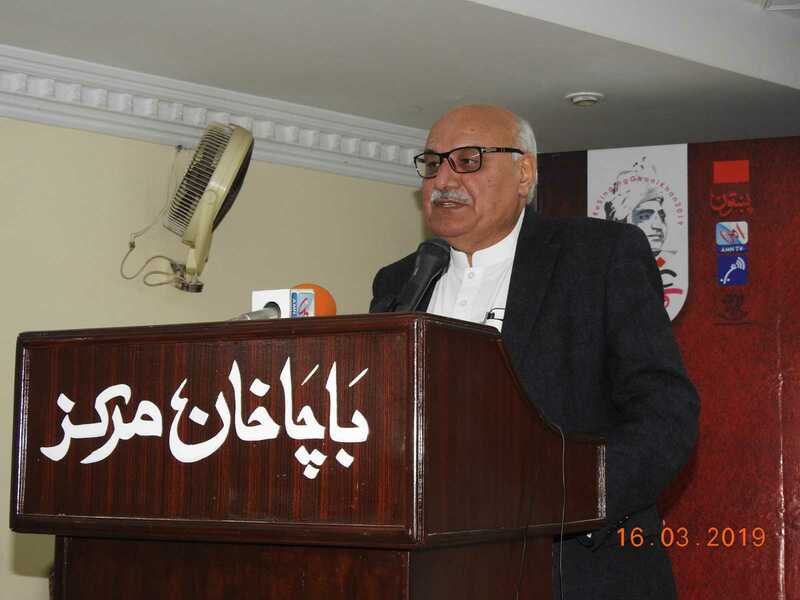 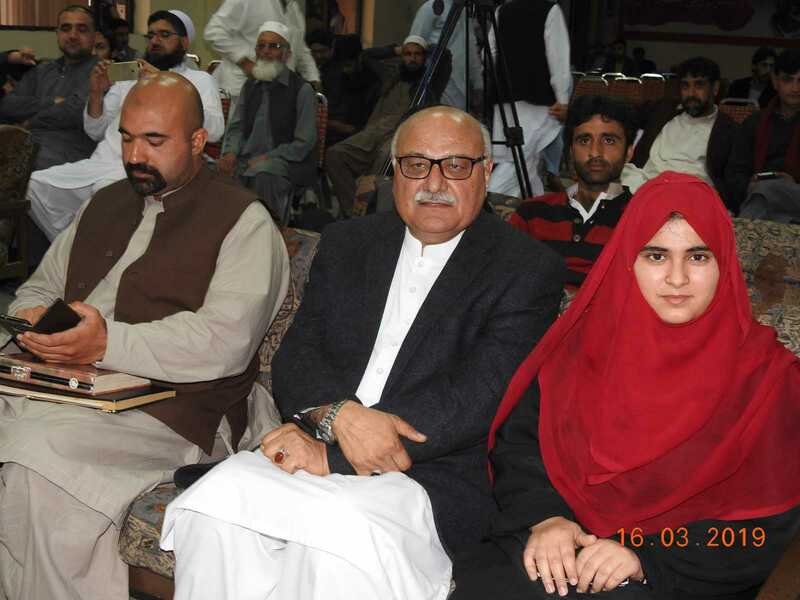 Mian Iftikhar Hussain also enlightened & discussed the life of legendary Ghani Khan.